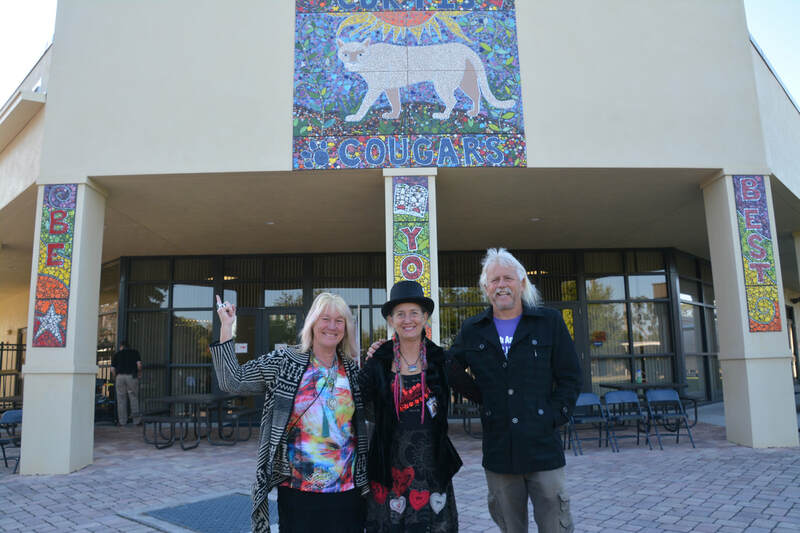 Our mission statement - "To promote knowledge of and education in the fine arts, the visual arts, and the performing arts". 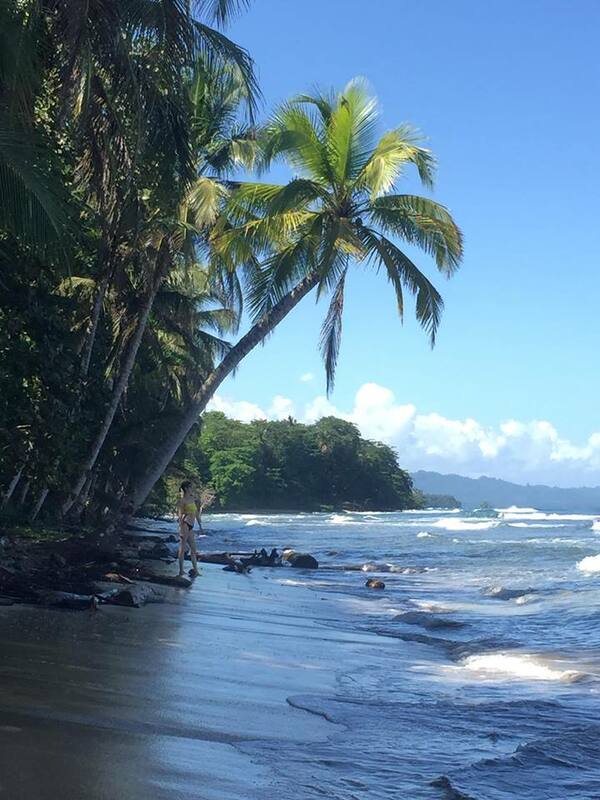 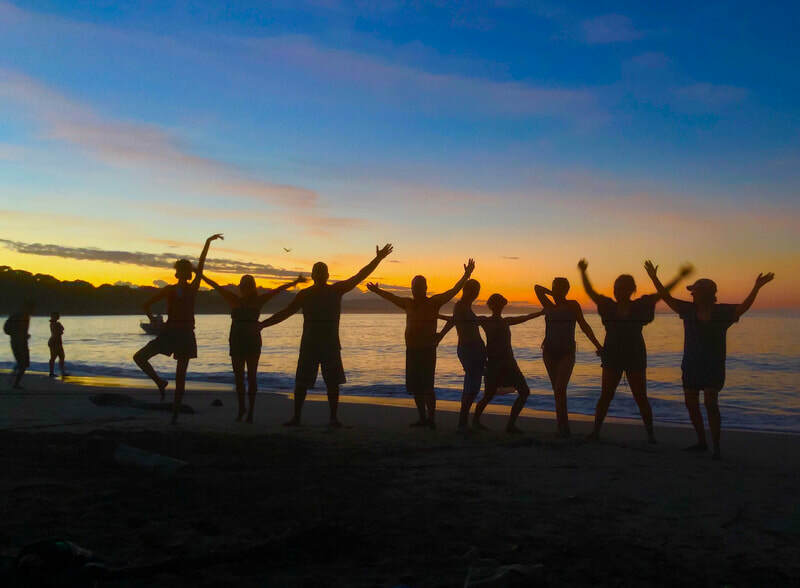 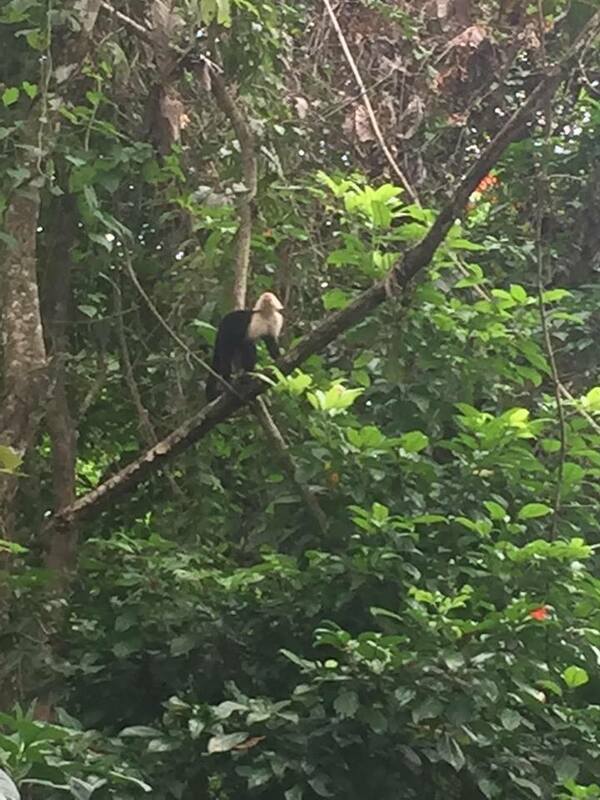 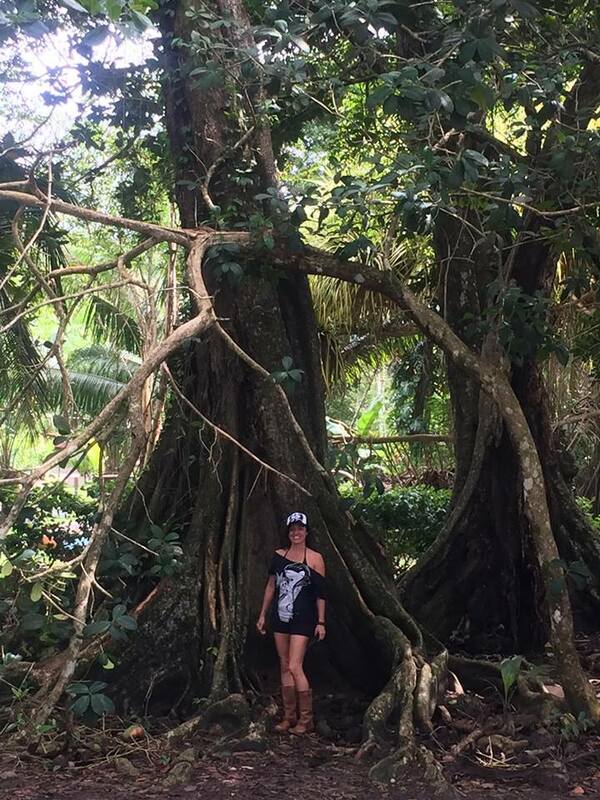 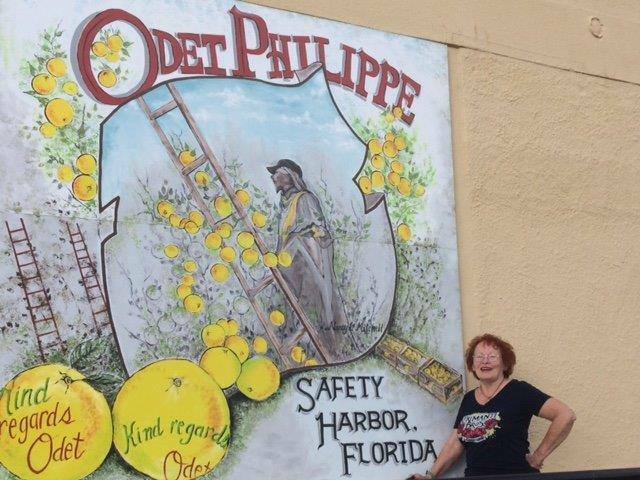 We don't just do this in Safety Harbor or the Bay Area we do it all over the world! 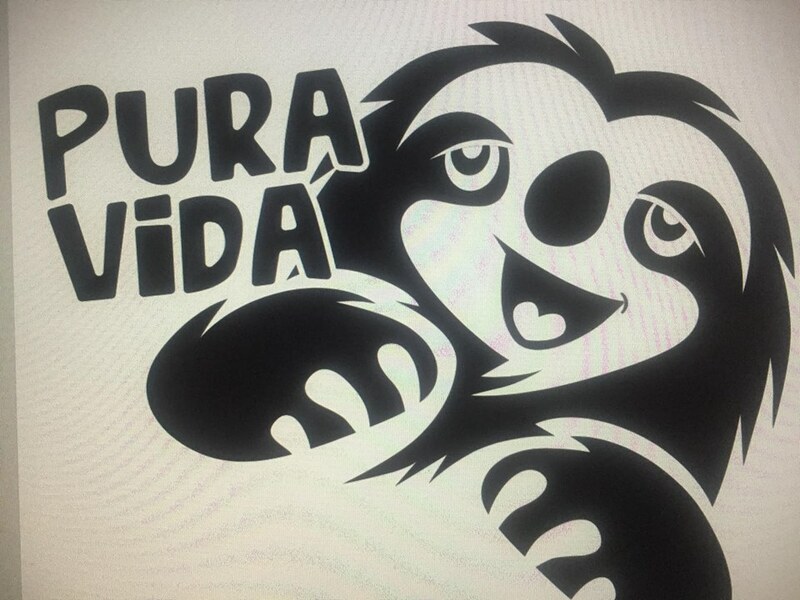 ​FOR SUPPORTING "THE WALK ON THE WILD SIDE" PROJECT!!! 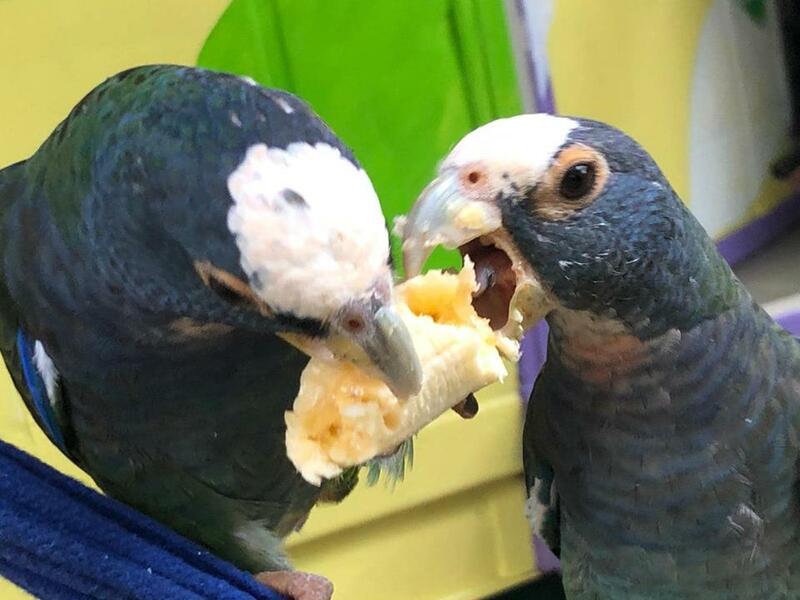 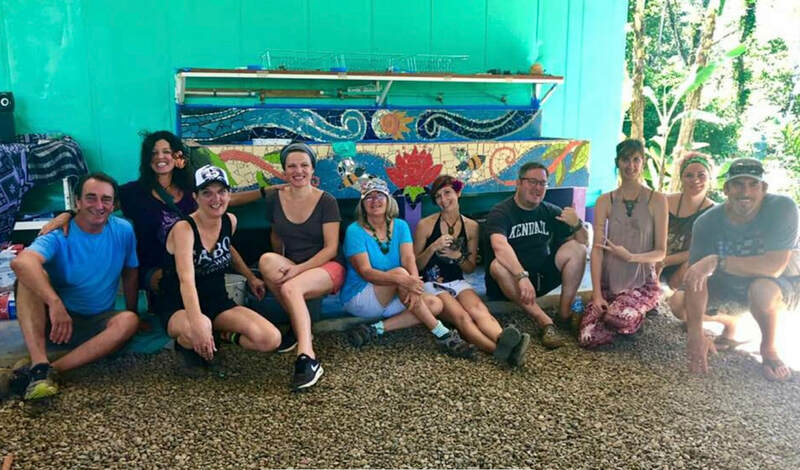 PLEASE CONTACT HEATHER RICHARDSON OR CONTINUE TO DONATE TO OUR GOFUNDME SITE! 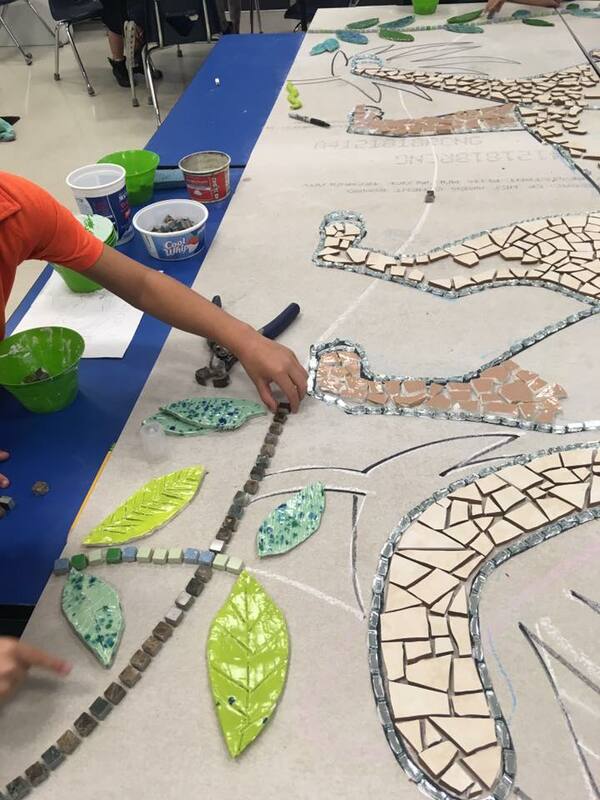 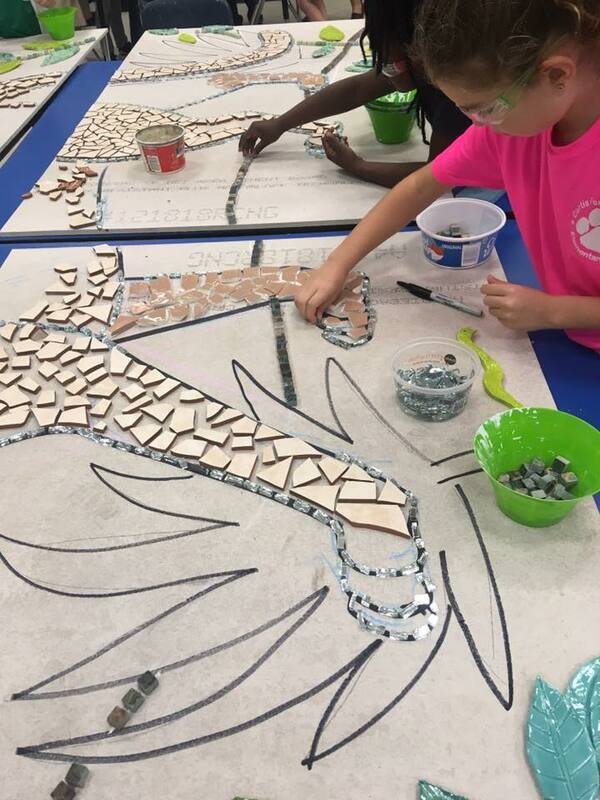 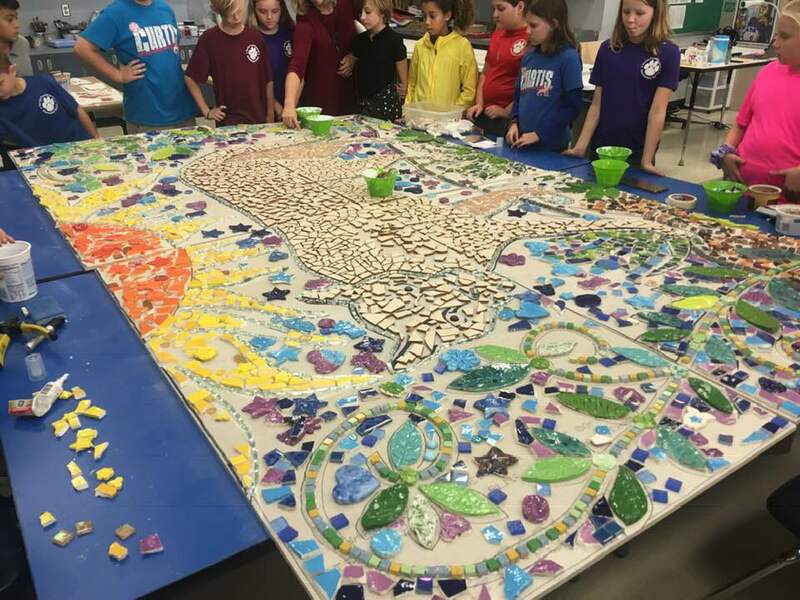 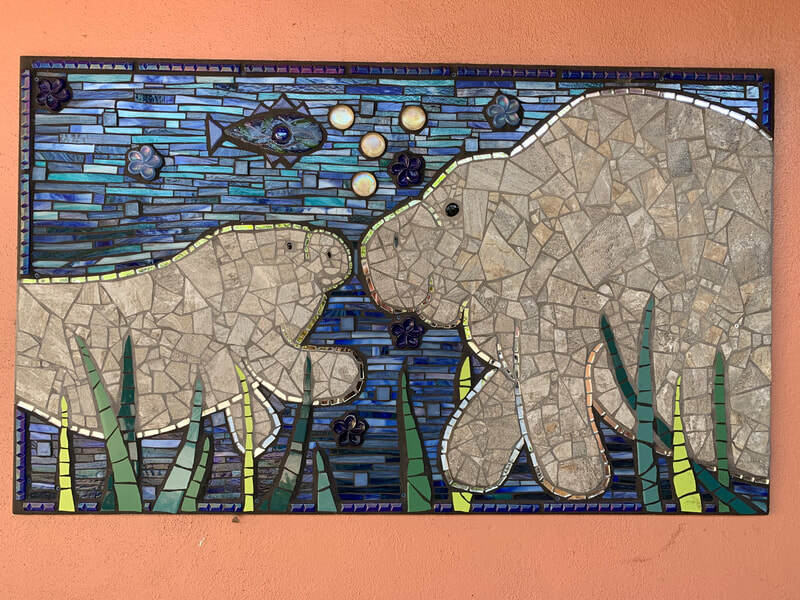 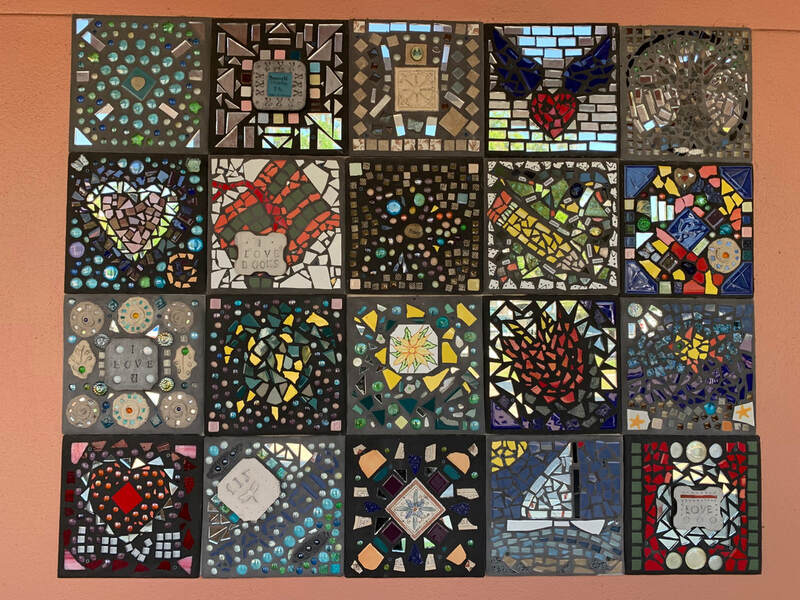 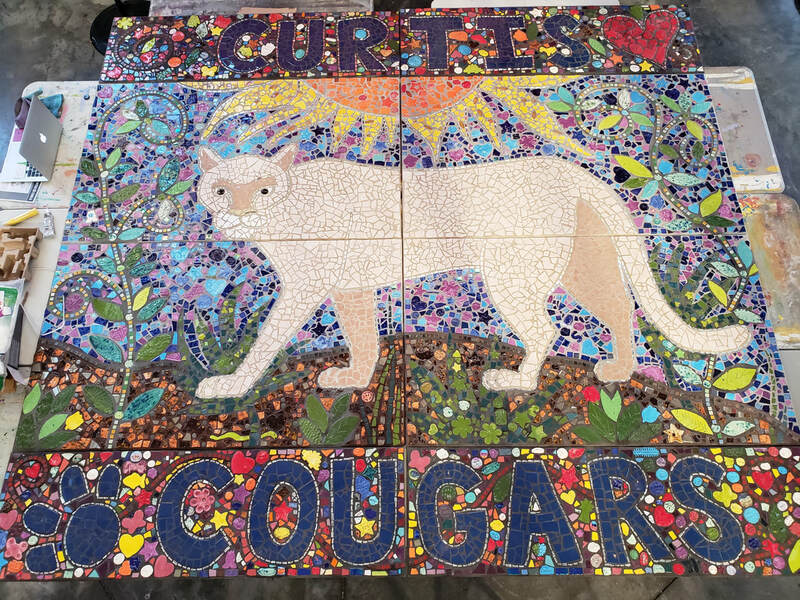 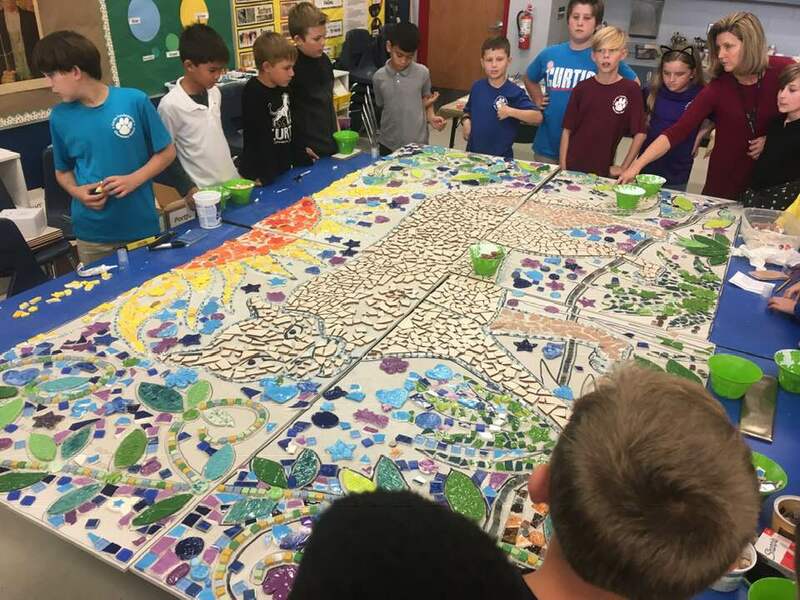 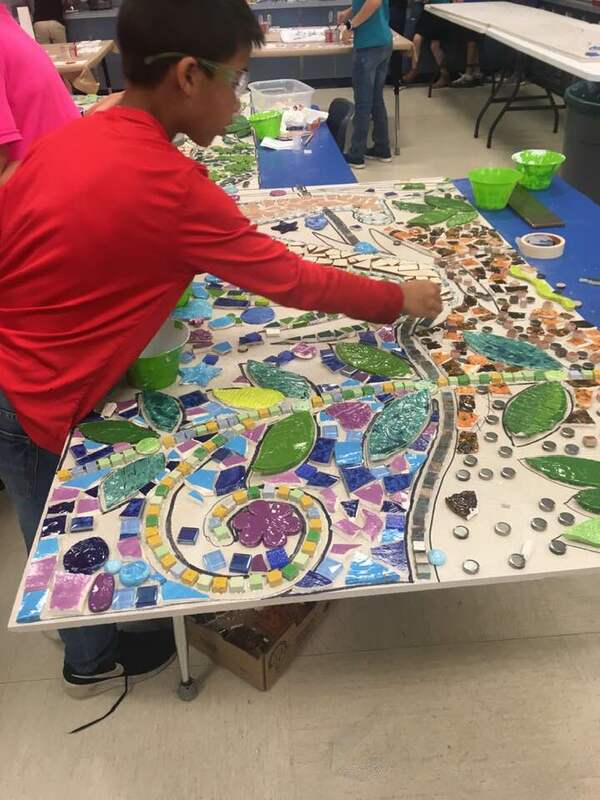 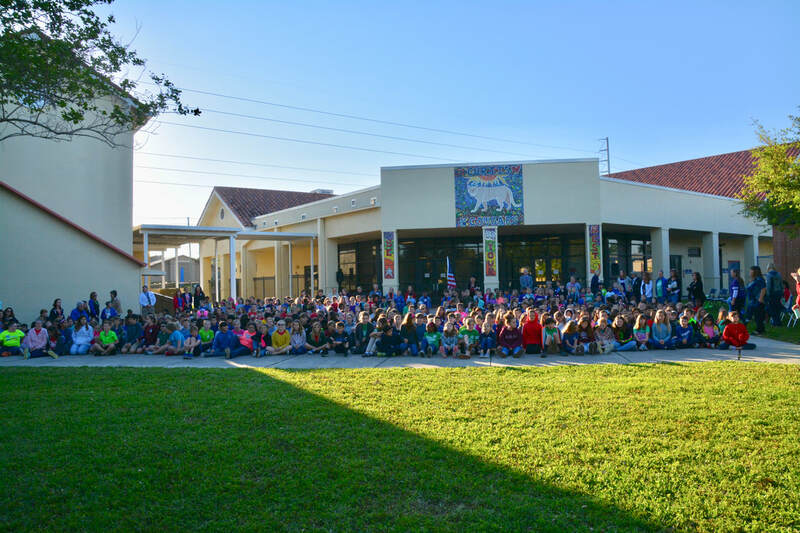 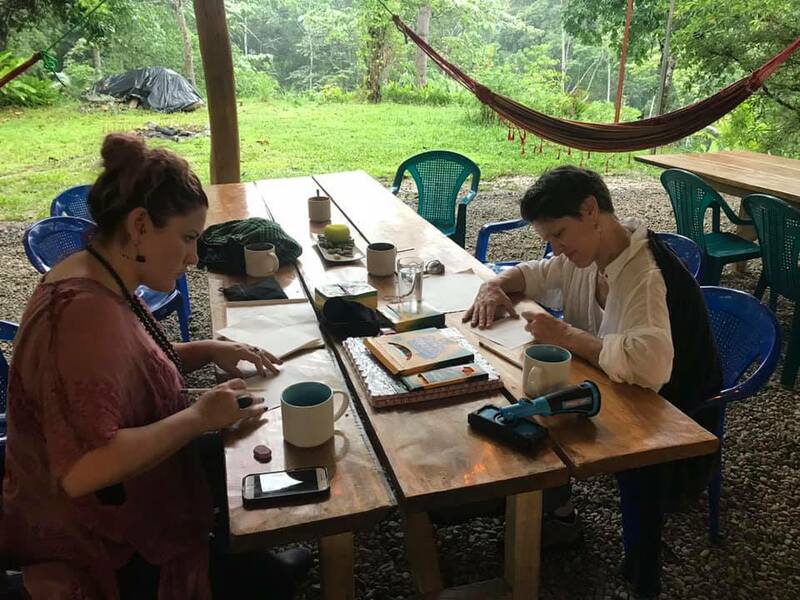 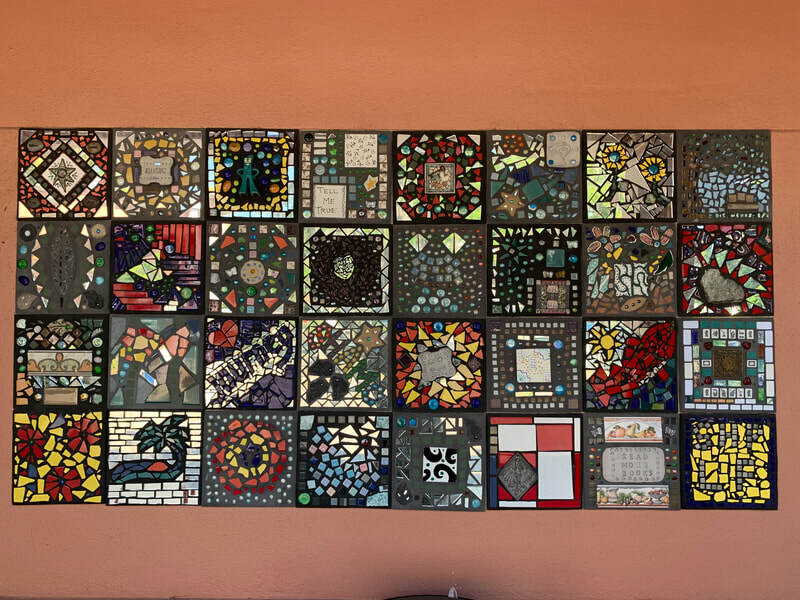 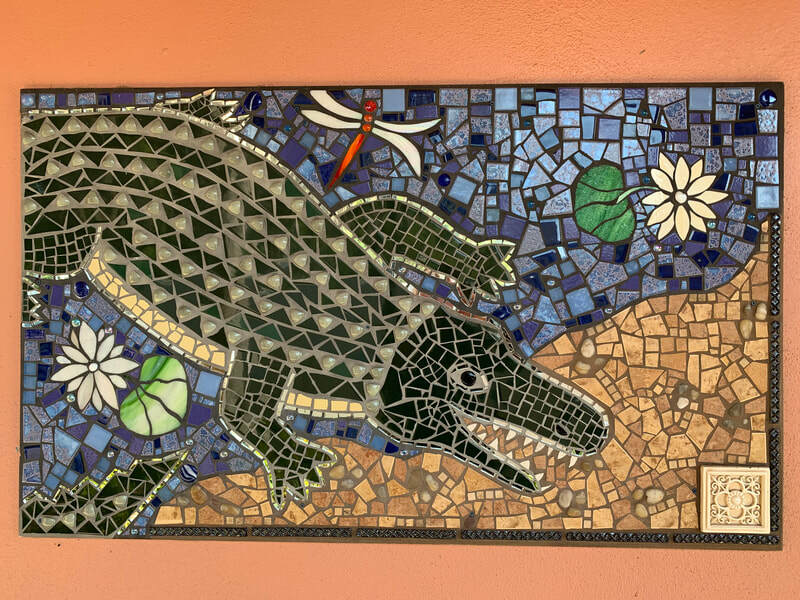 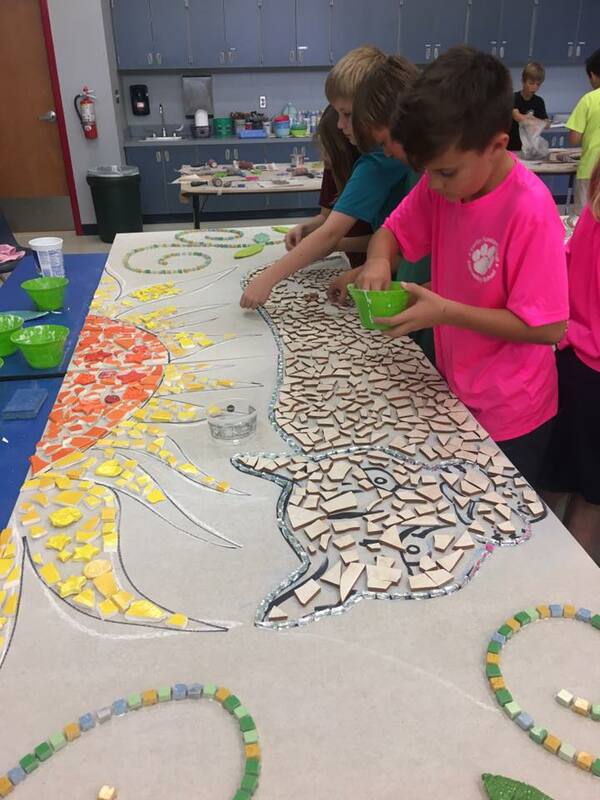 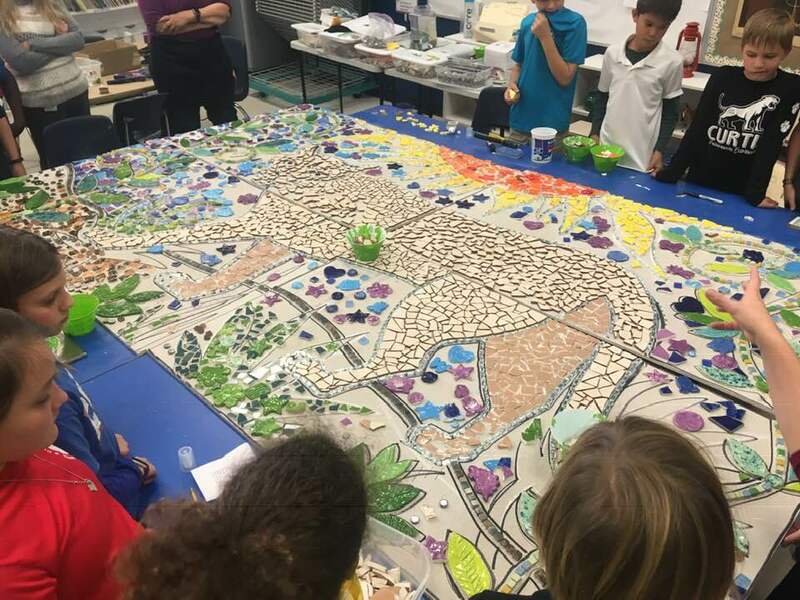 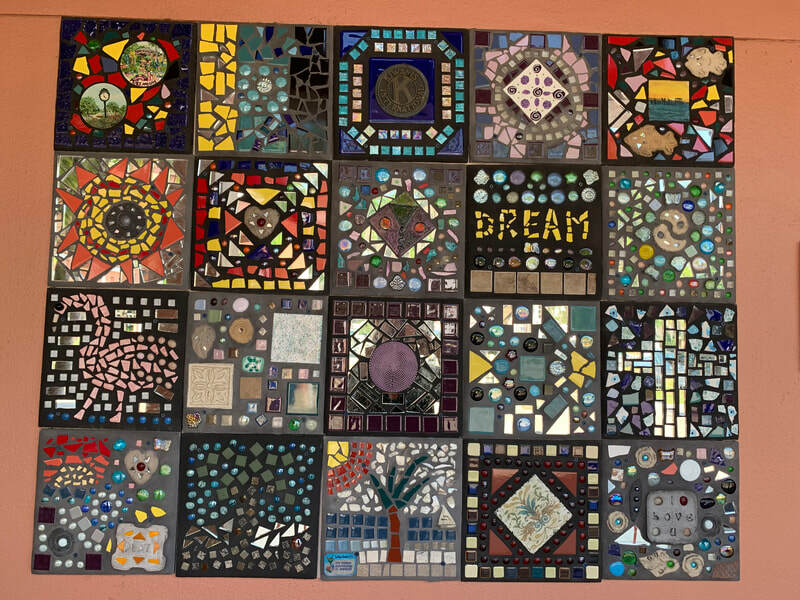 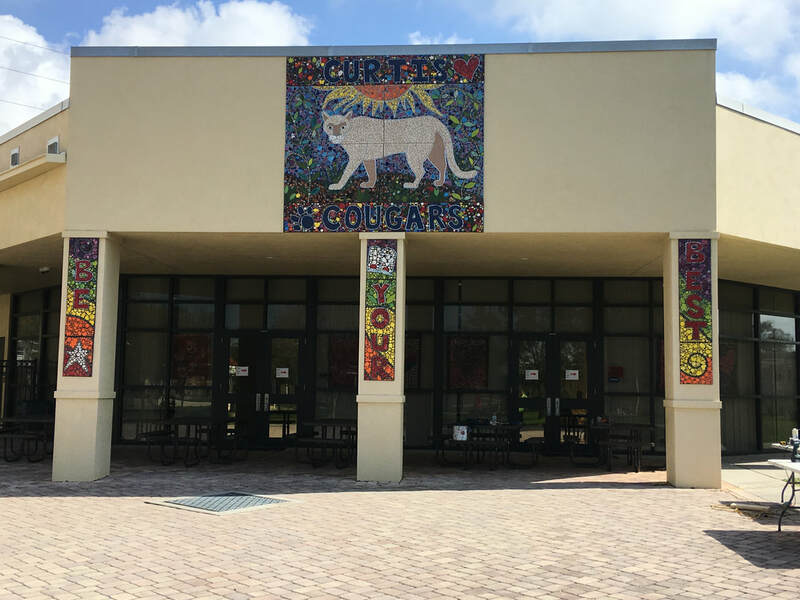 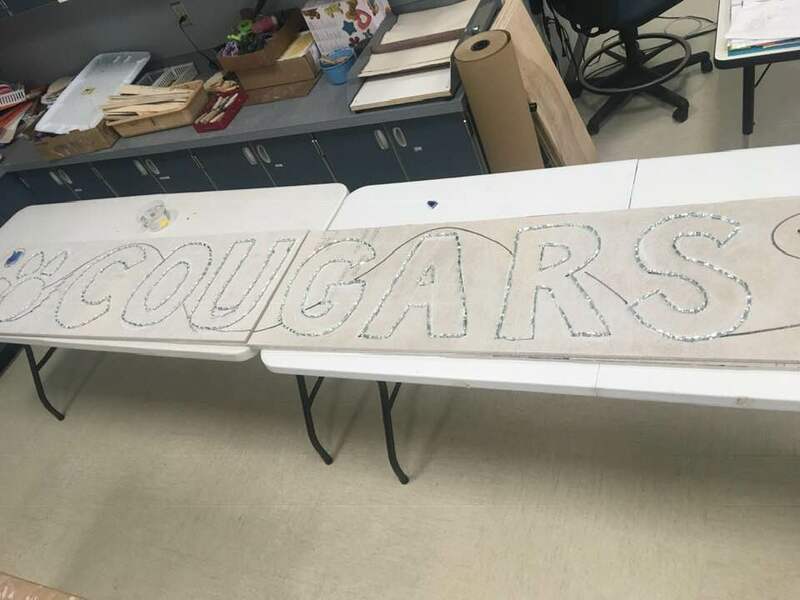 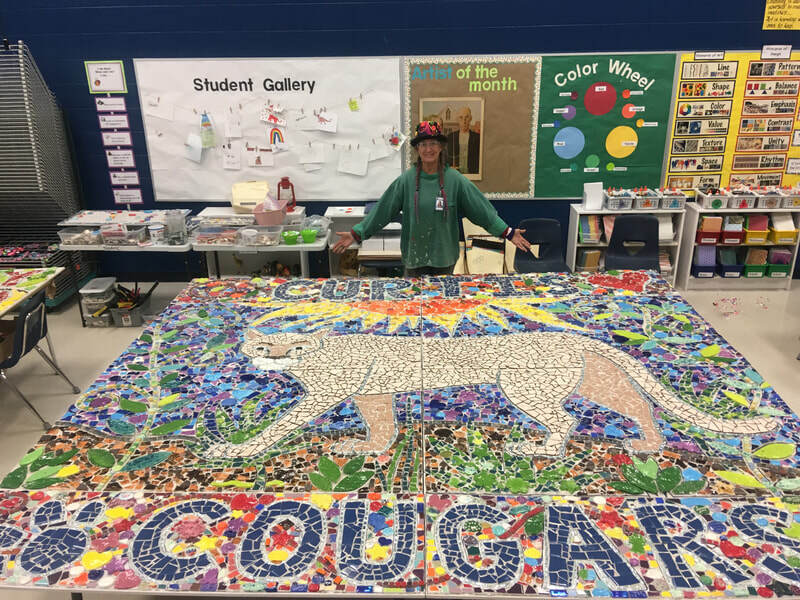 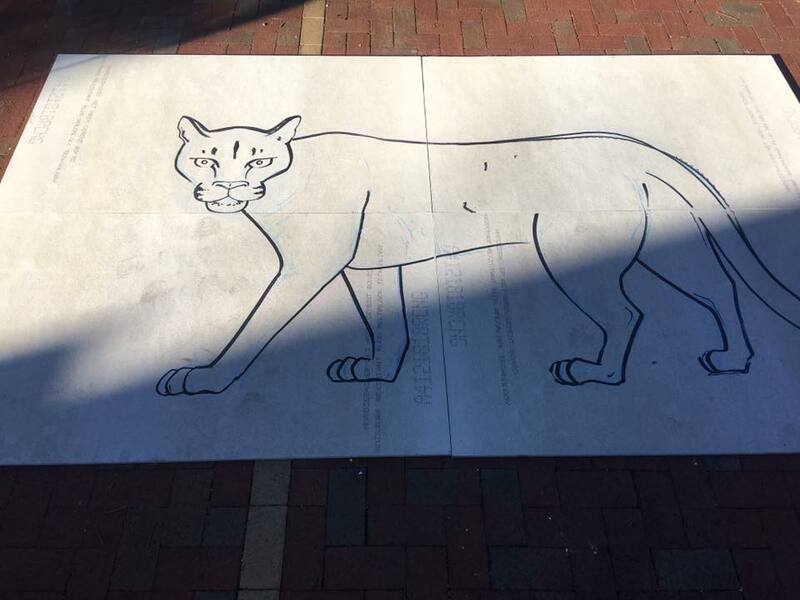 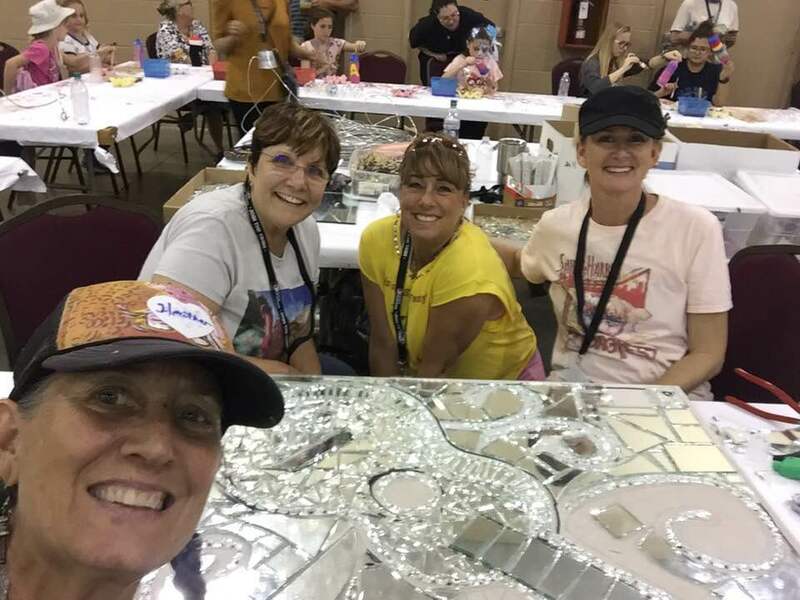 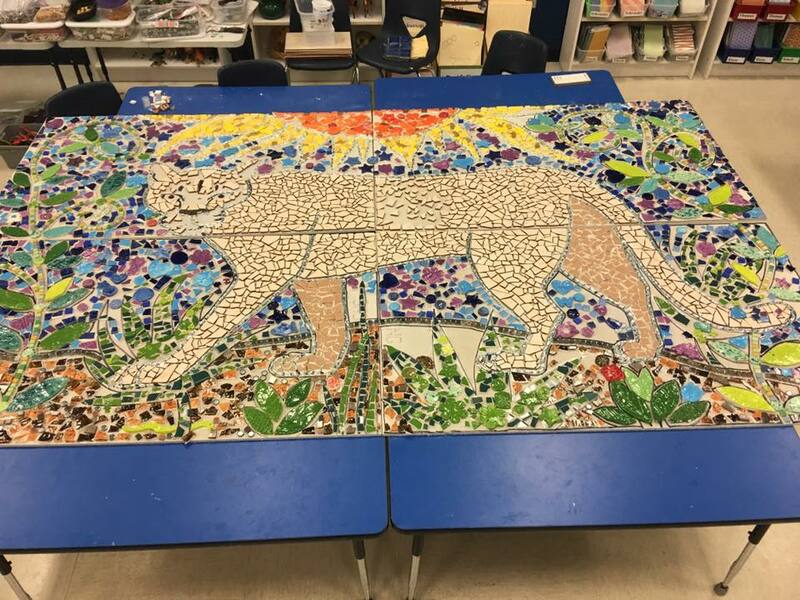 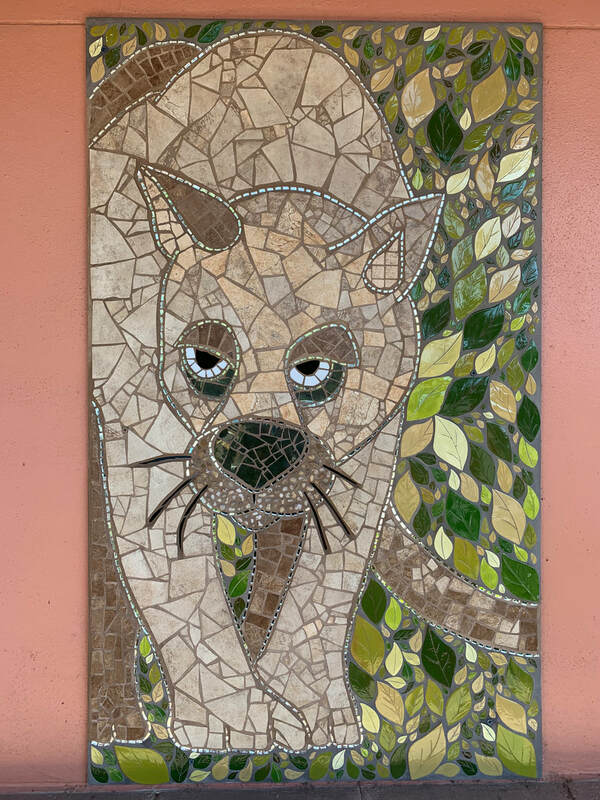 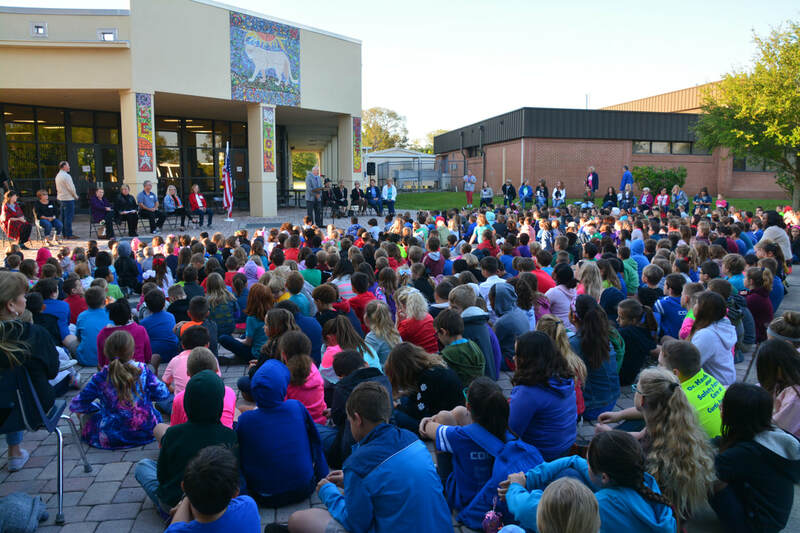 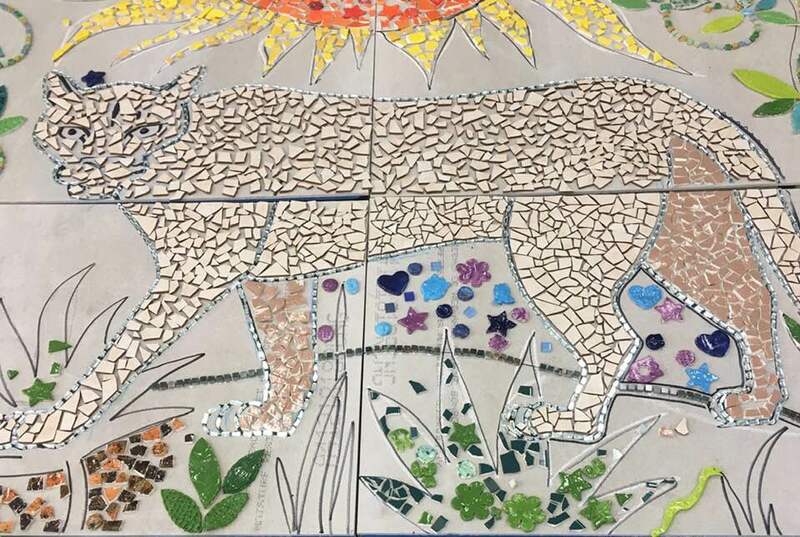 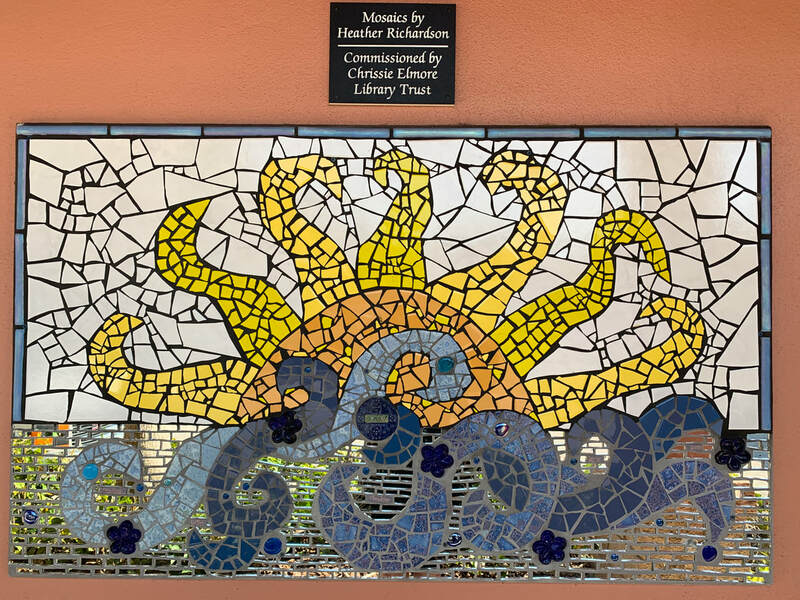 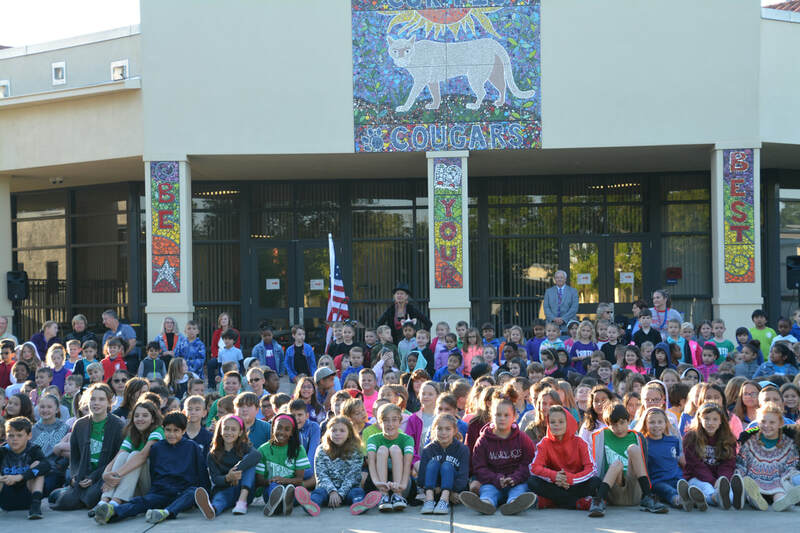 Art teacher Linda Hilterbrandt and all the children at the school created tiles for this project from the beginning of the school year to be ready for this project. 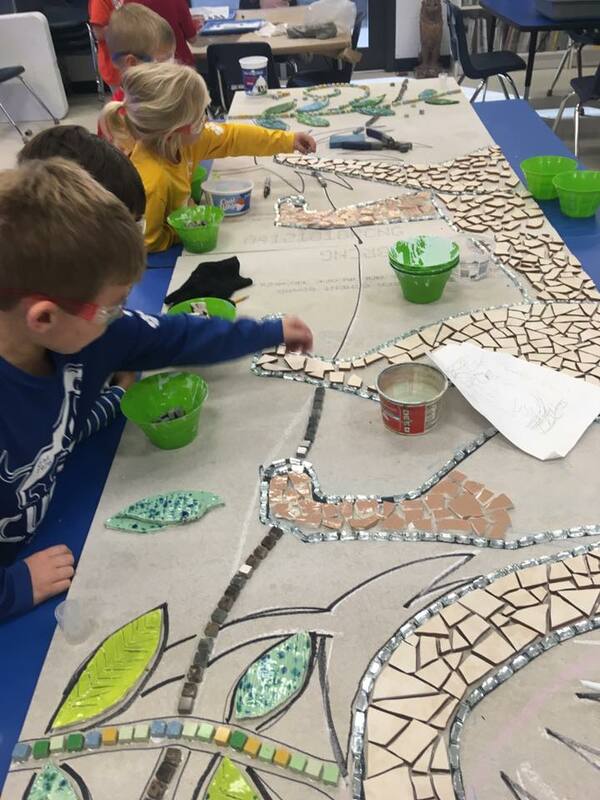 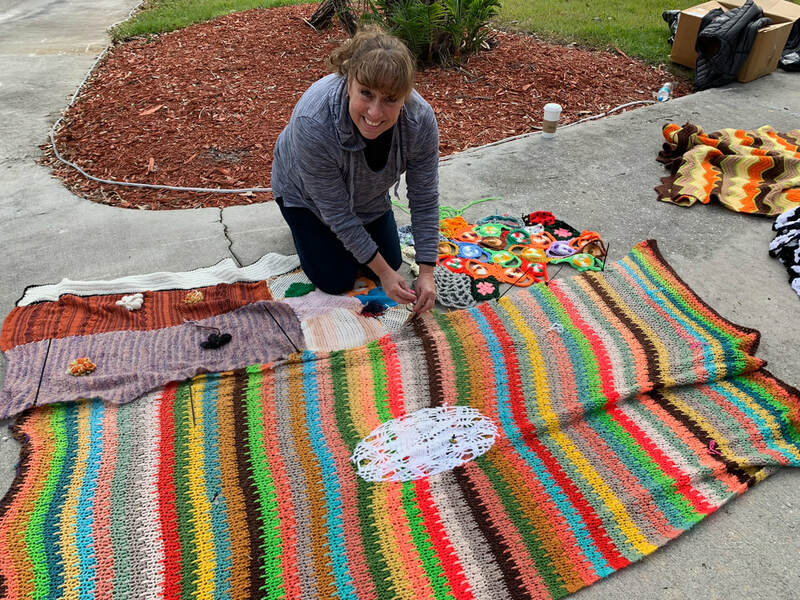 The classroom was set up in 4 stations and children rotated during each class so that Heather could help 4 kids at a time to help them learn how to break and nip tiles and how to arrange the mosaic. 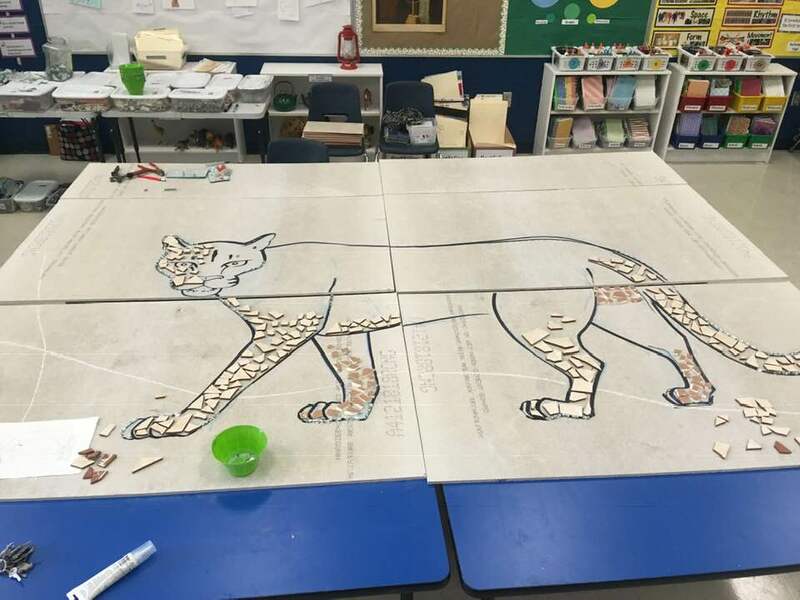 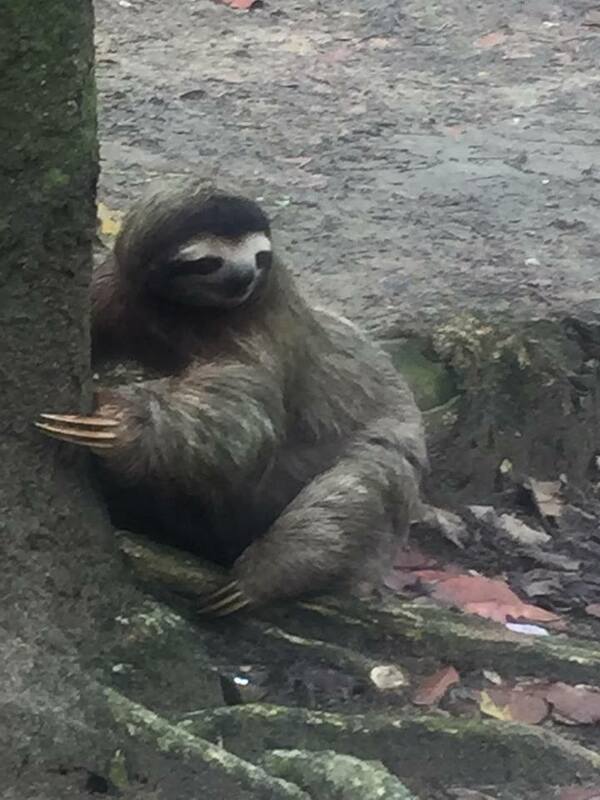 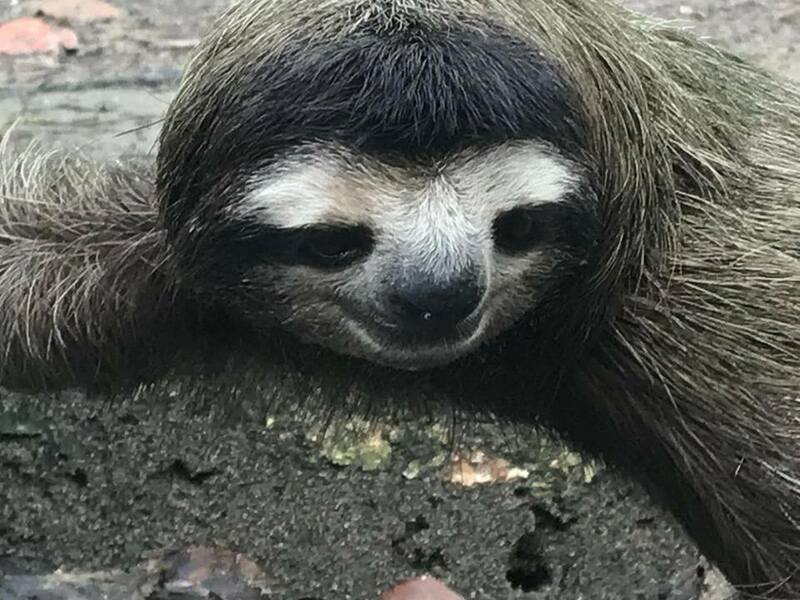 The kids love to break and nip! 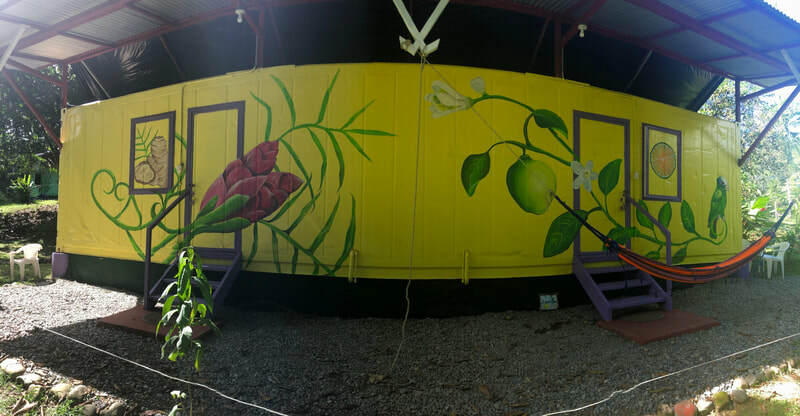 Finished size of this mural is 9 ft tall and 10 ft wide with 3 other sections that are on columns below this piece. 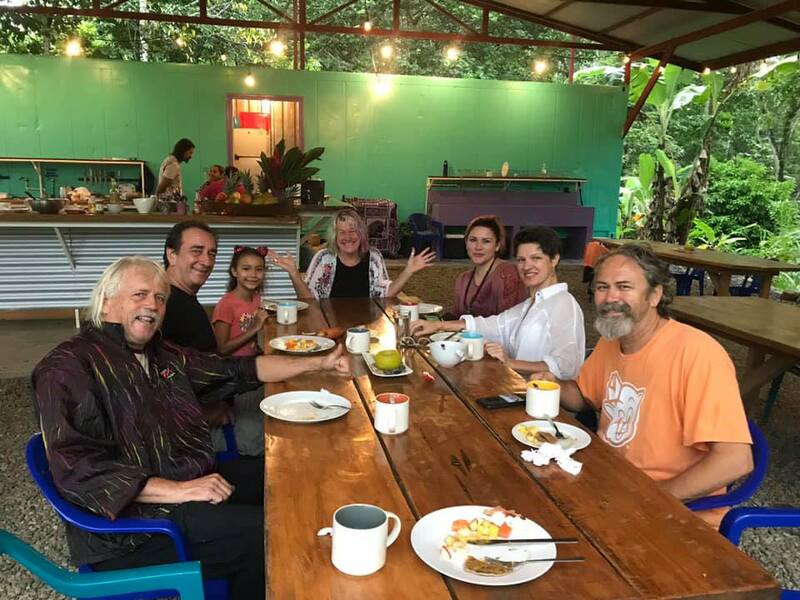 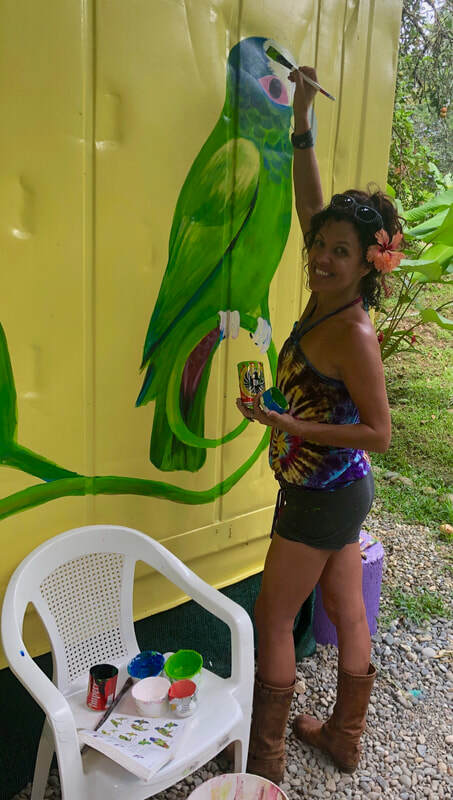 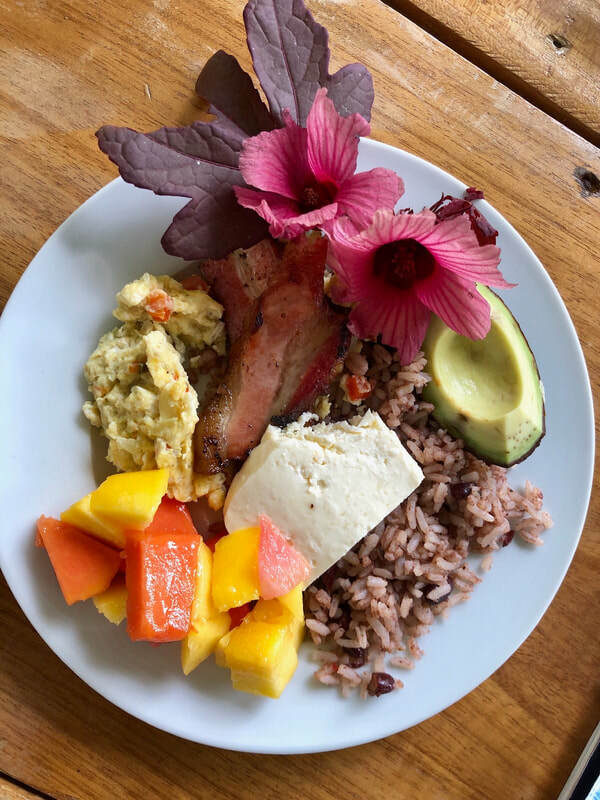 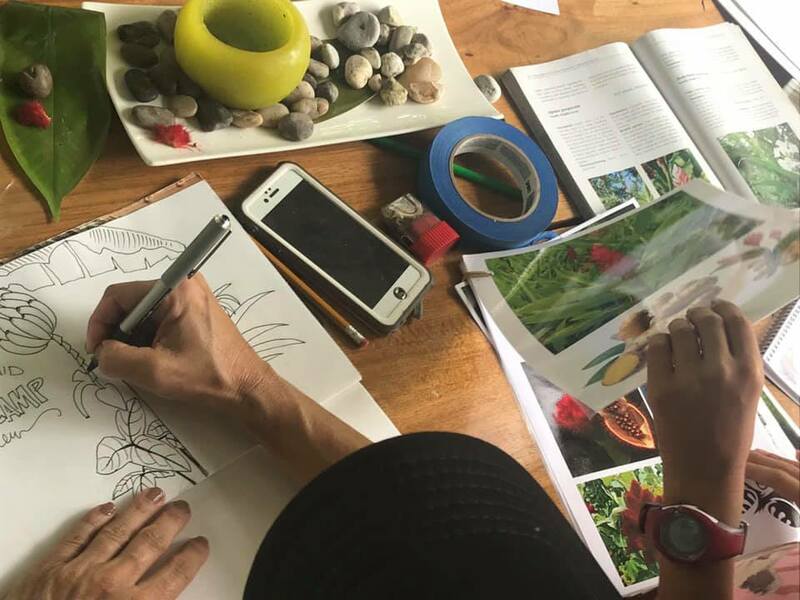 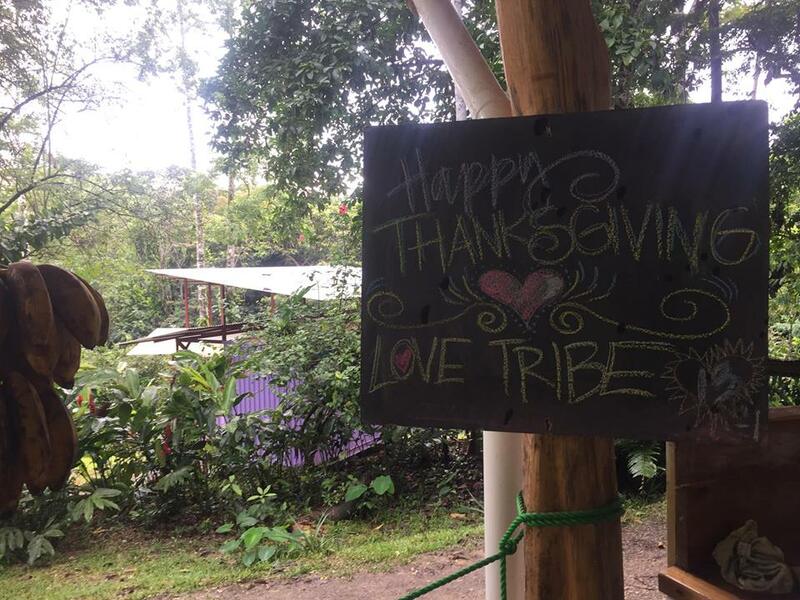 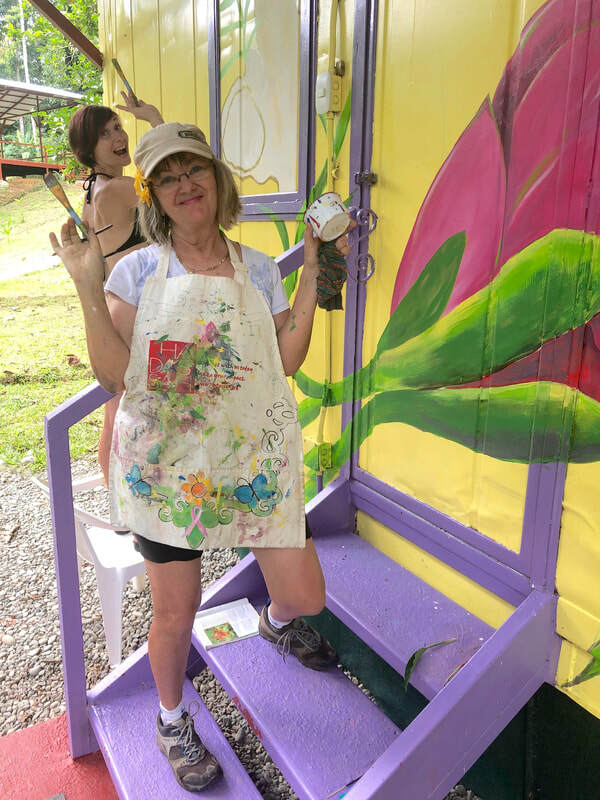 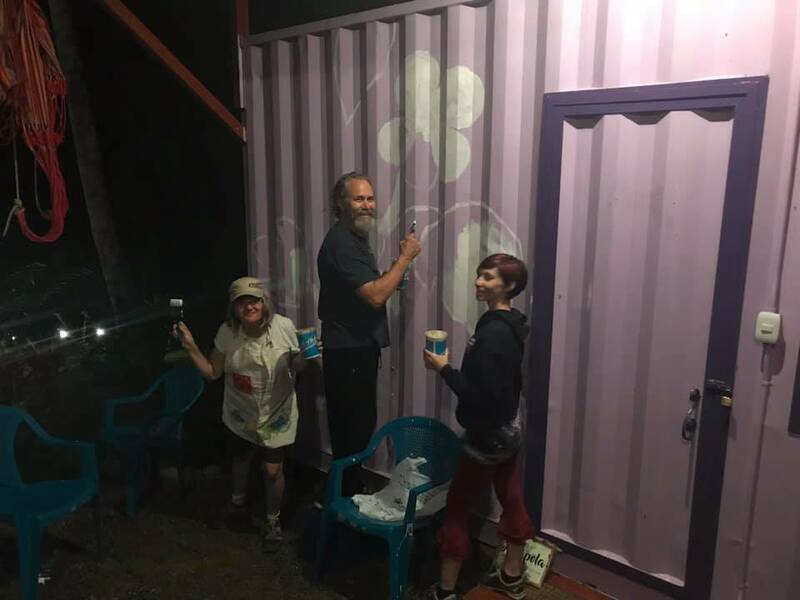 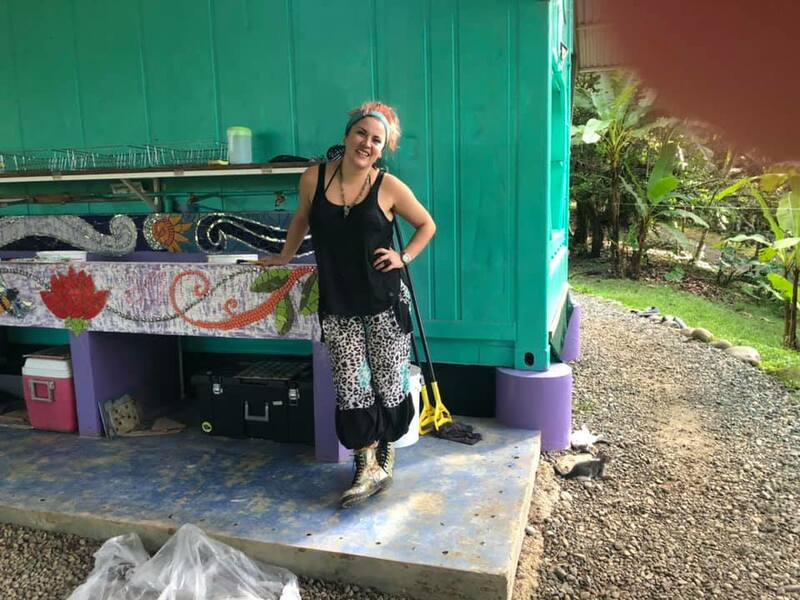 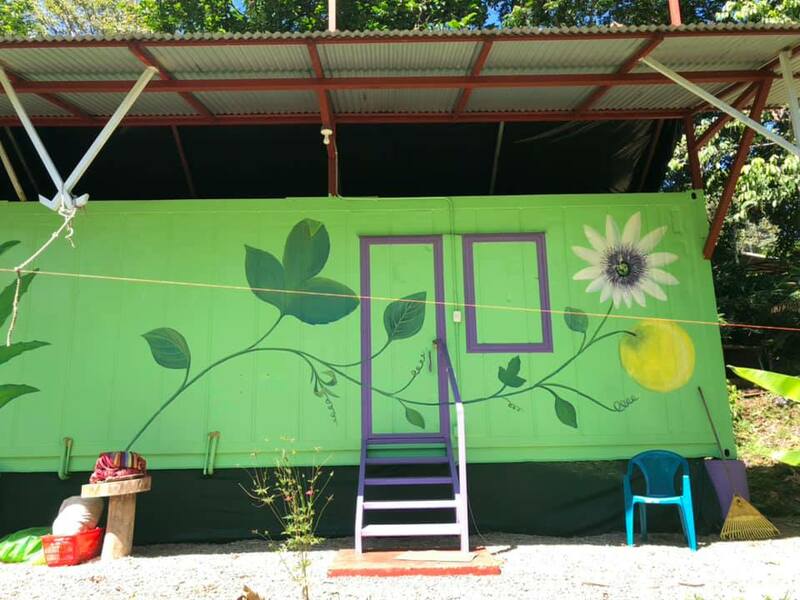 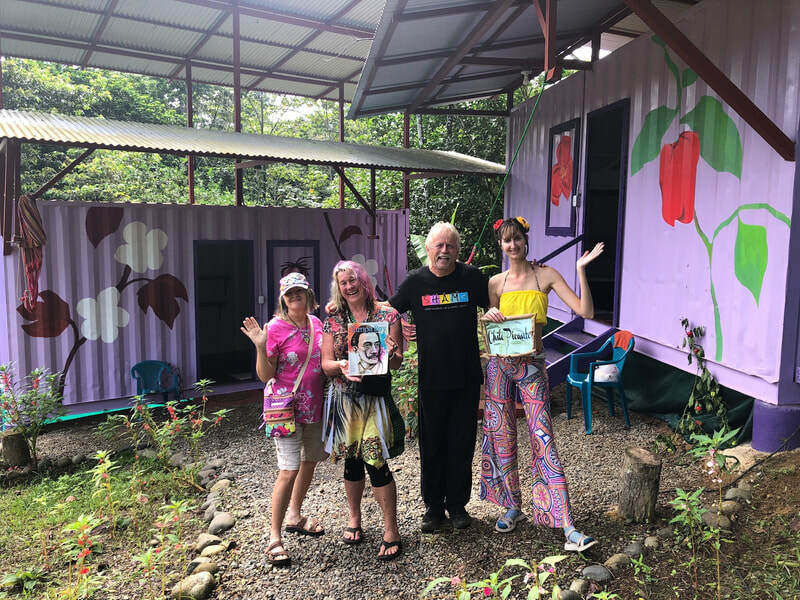 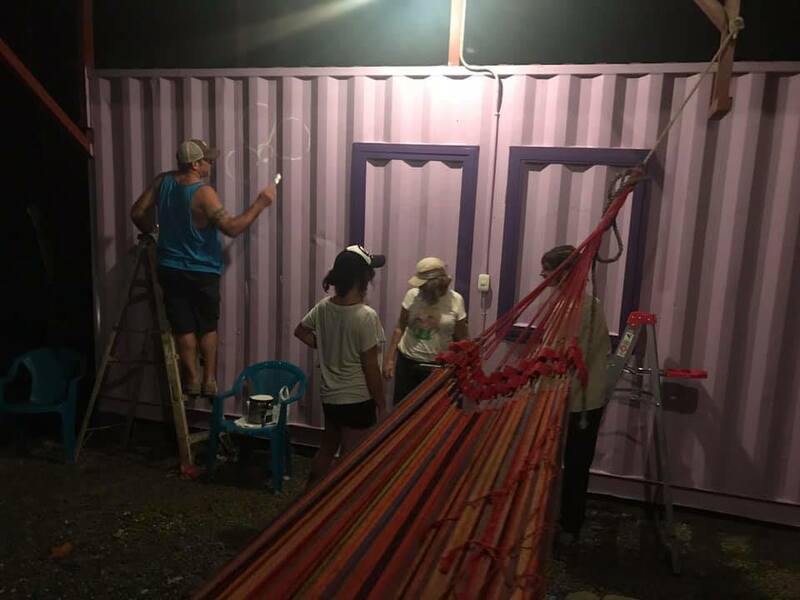 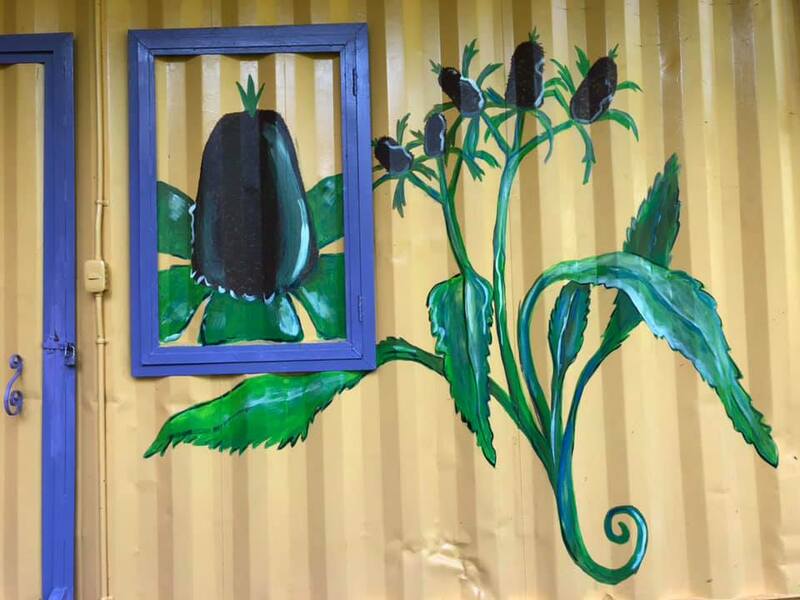 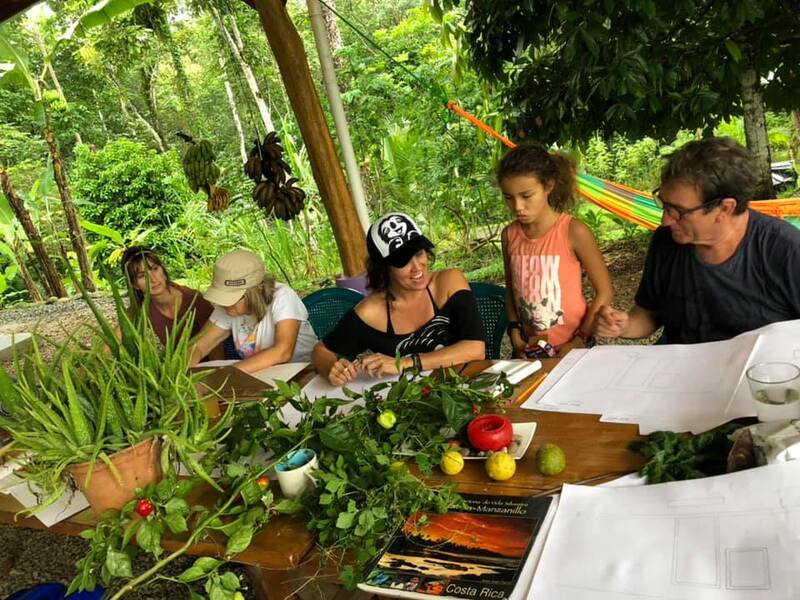 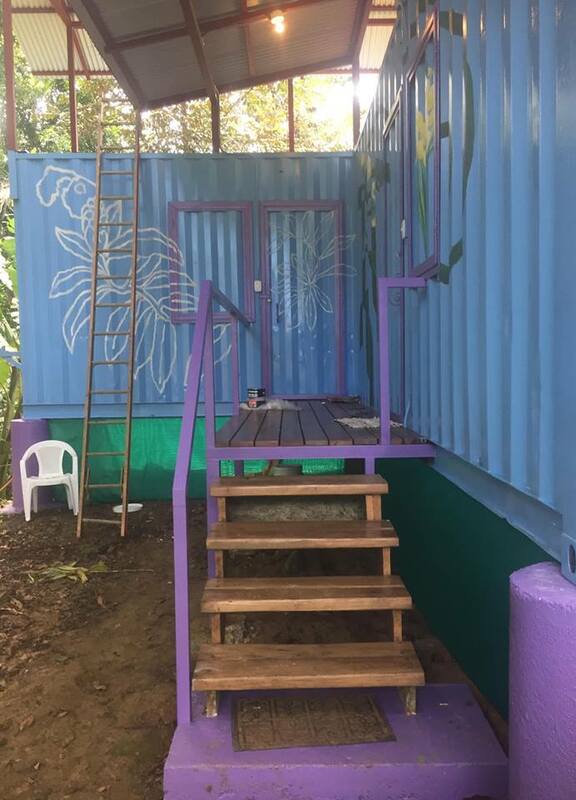 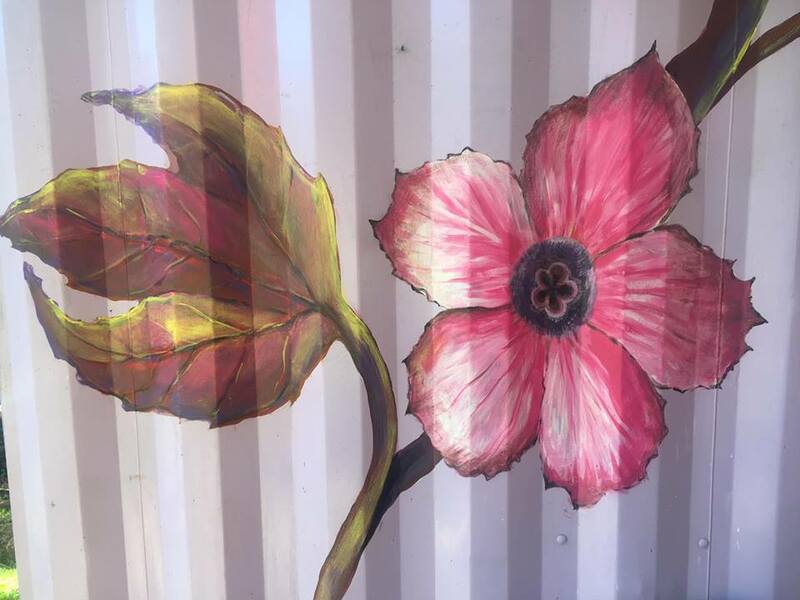 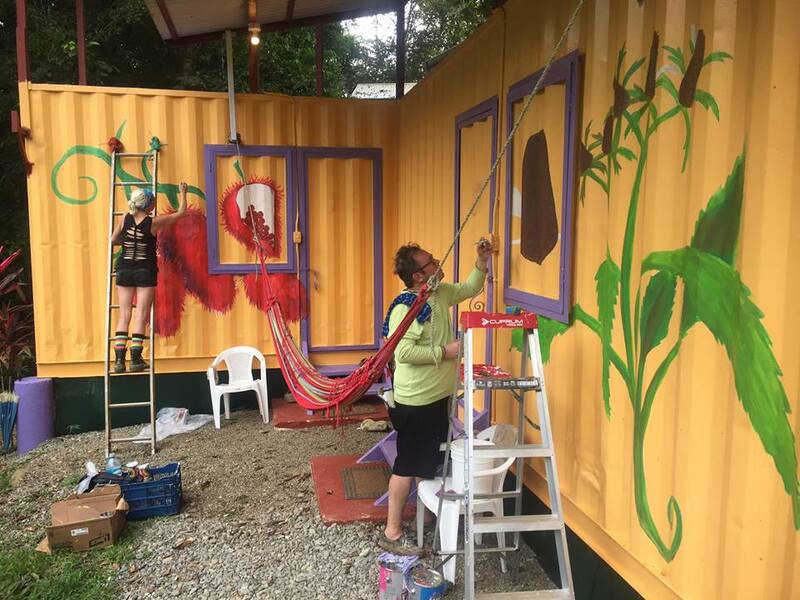 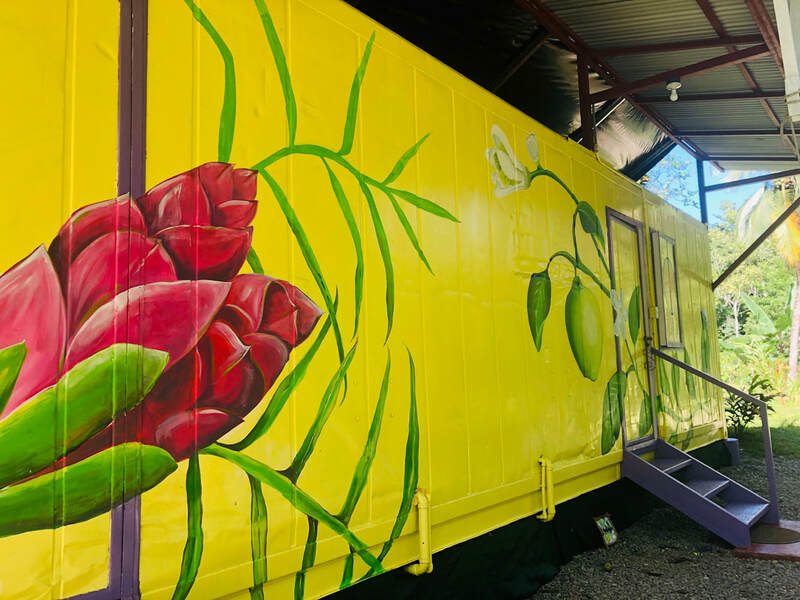 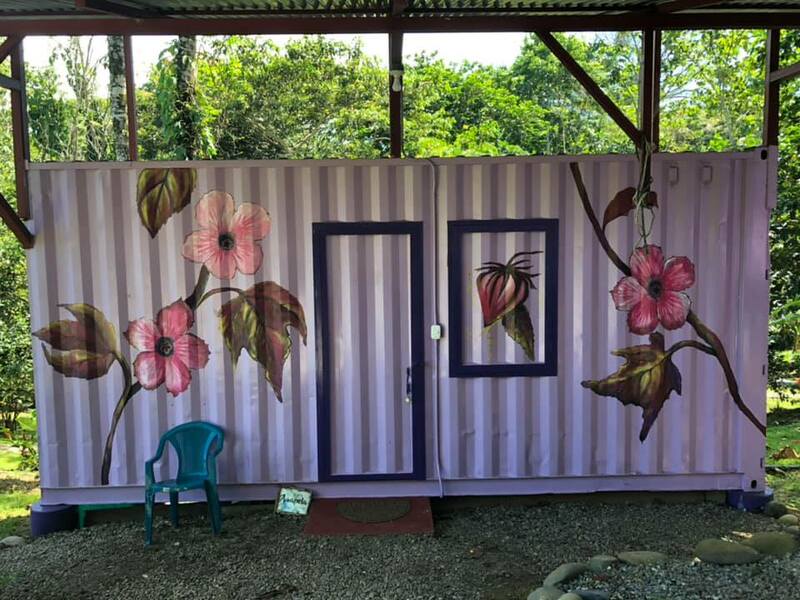 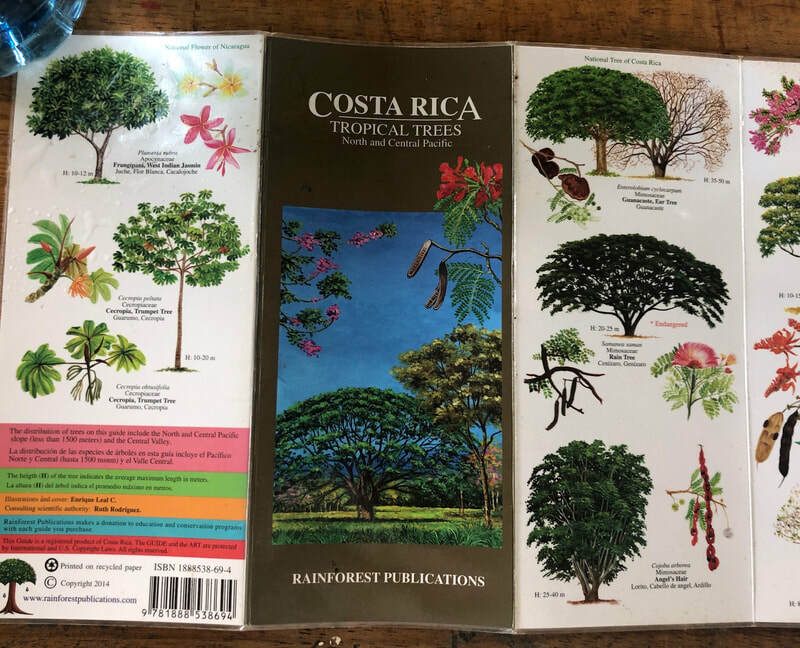 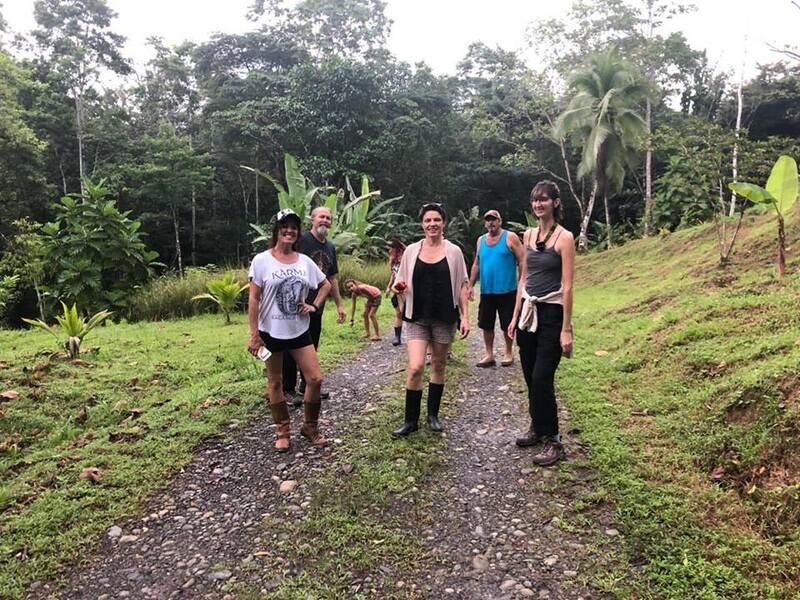 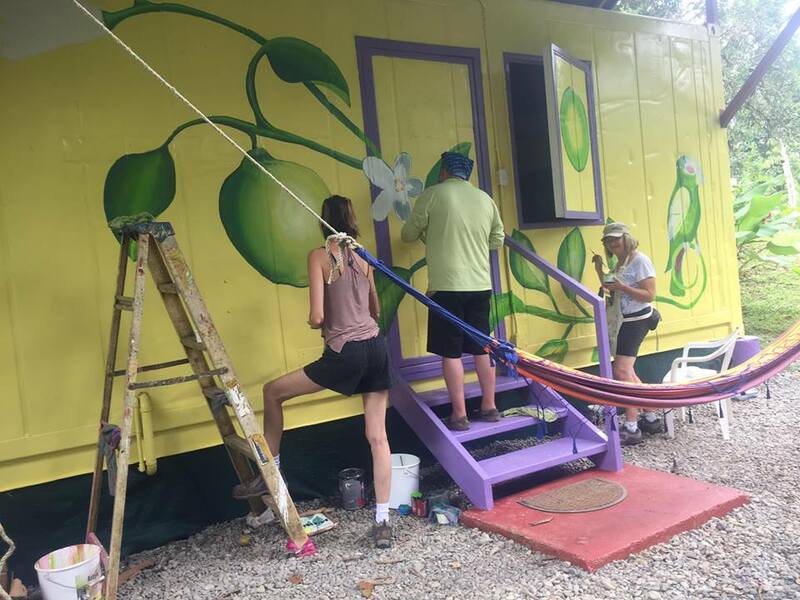 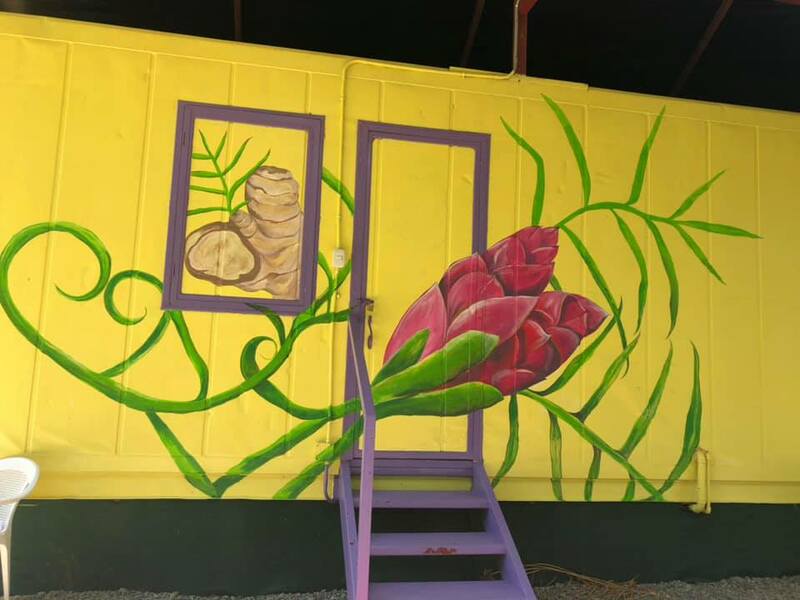 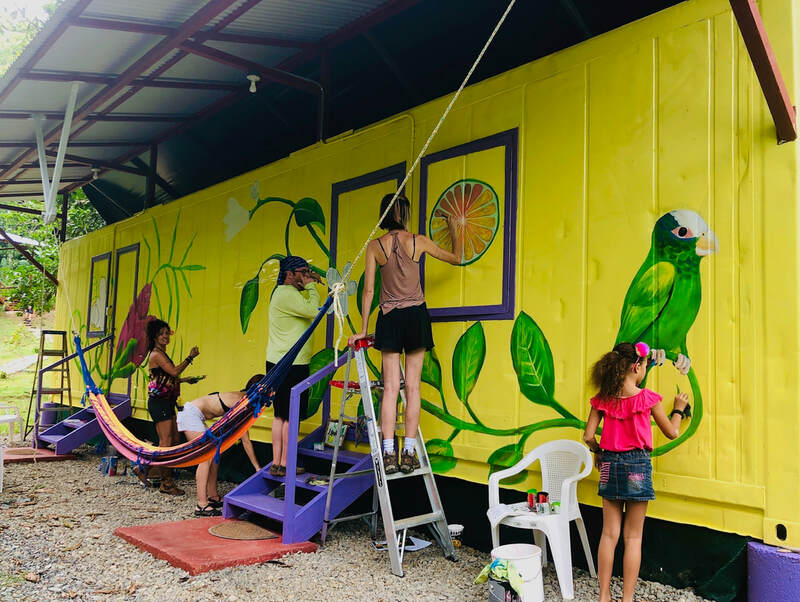 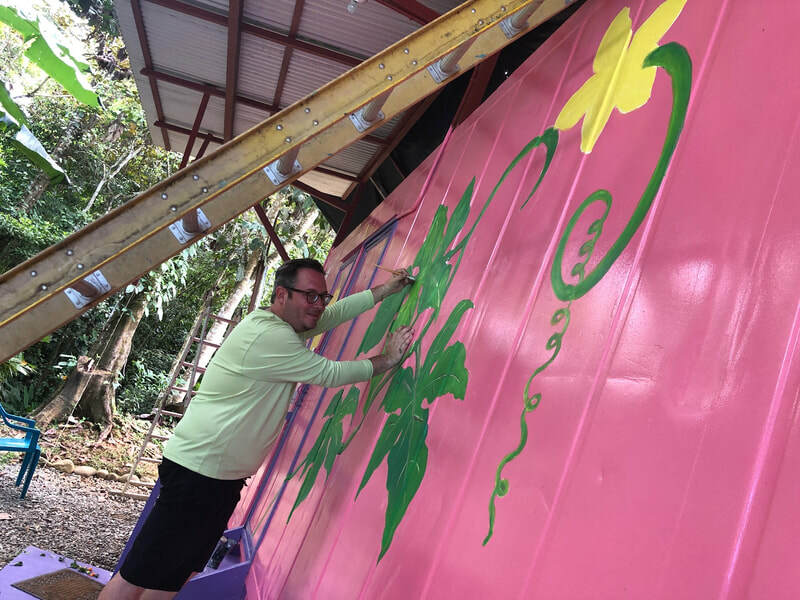 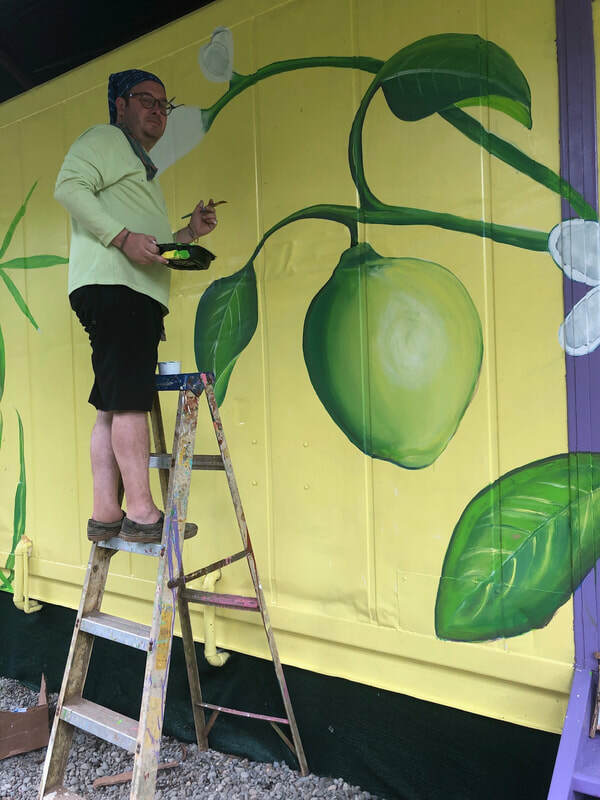 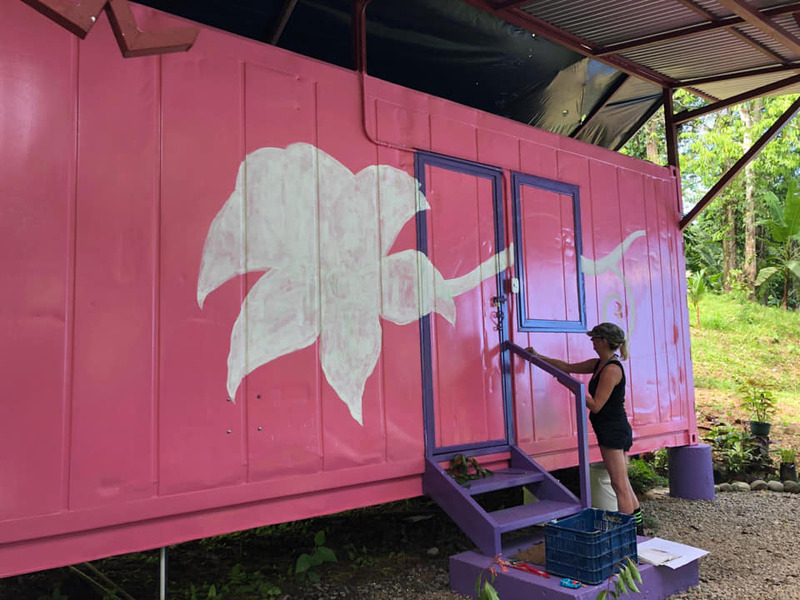 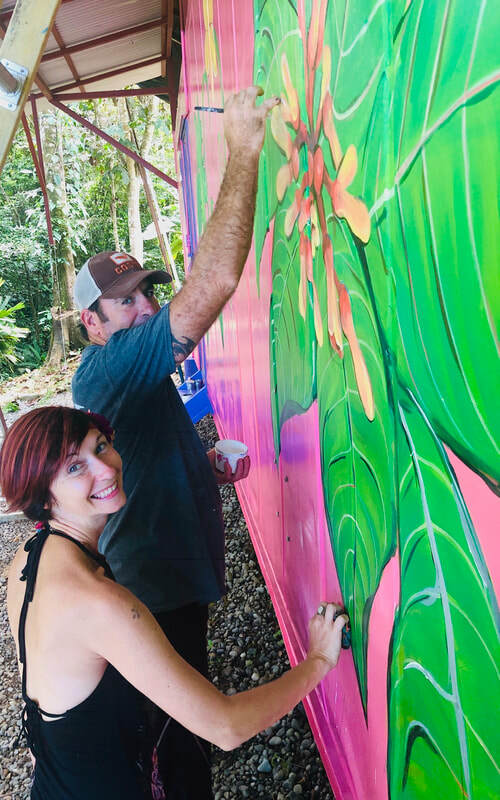 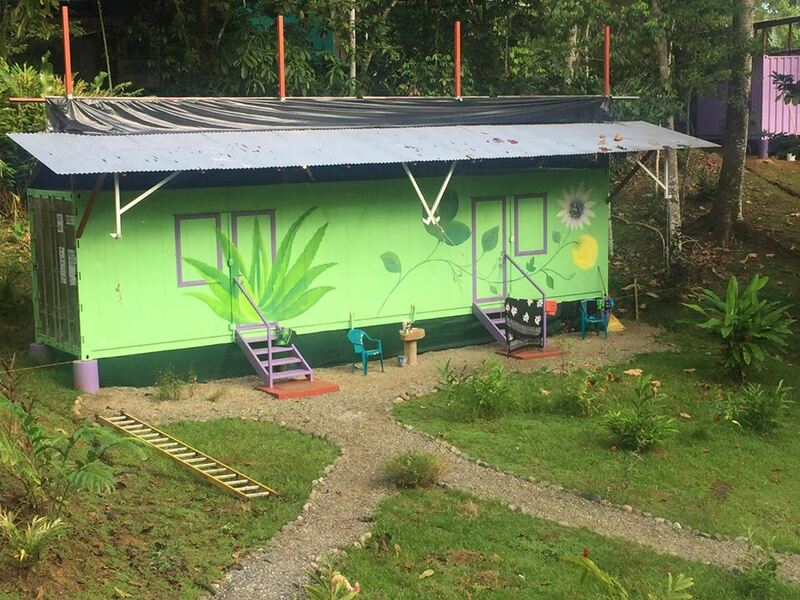 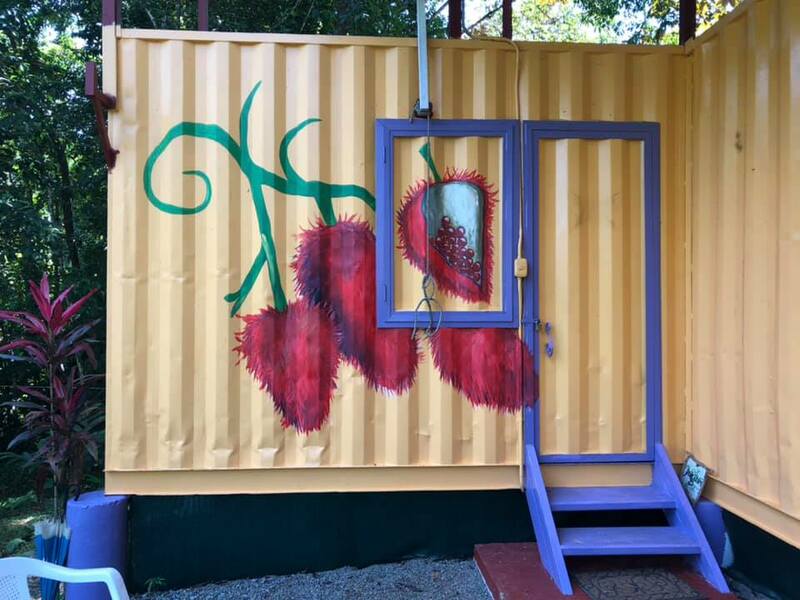 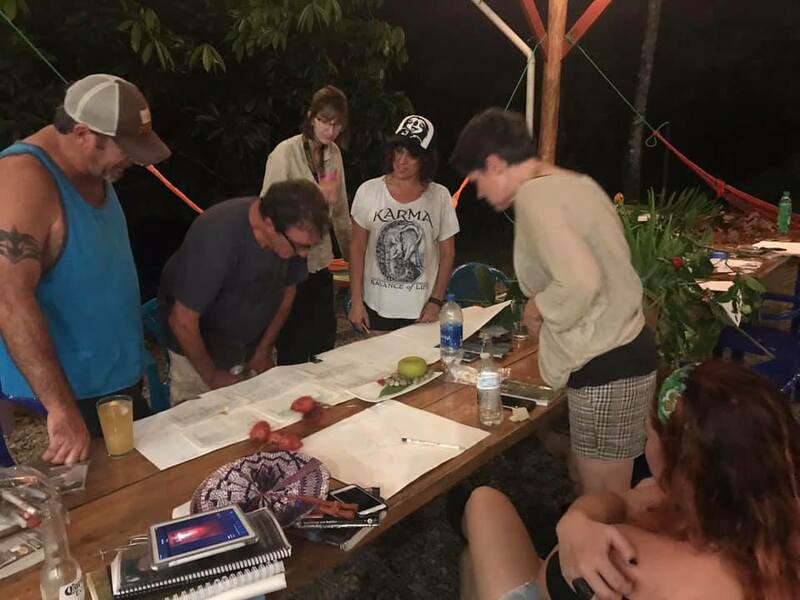 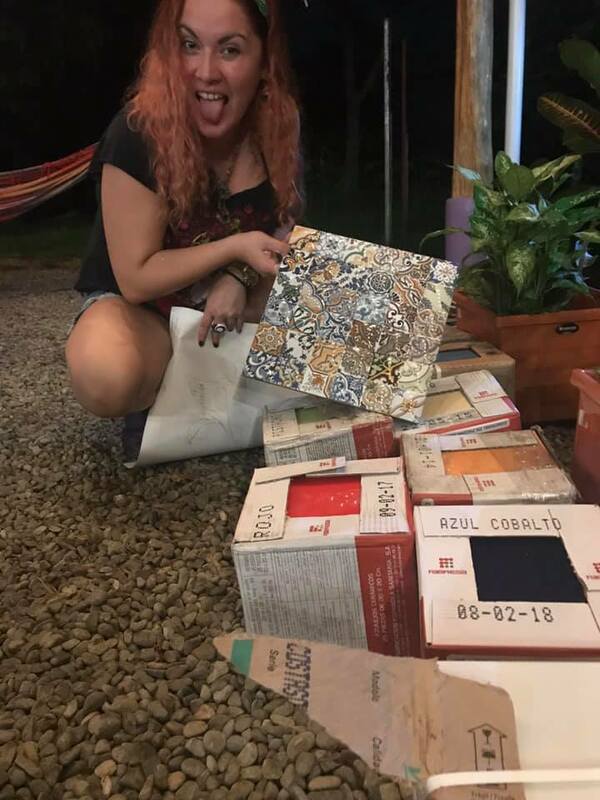 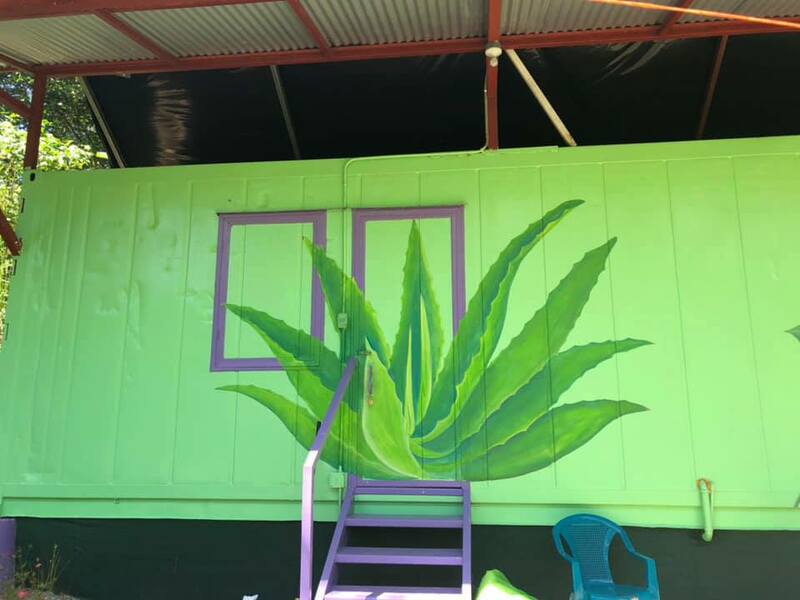 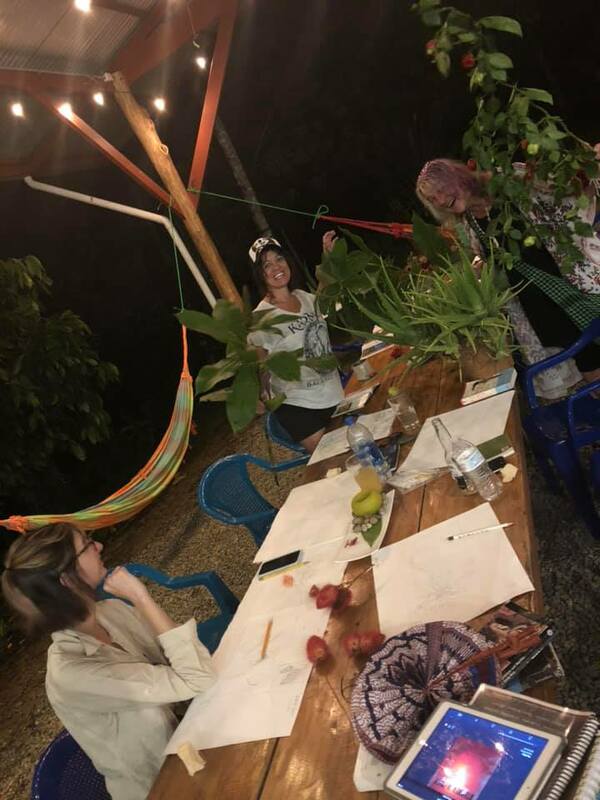 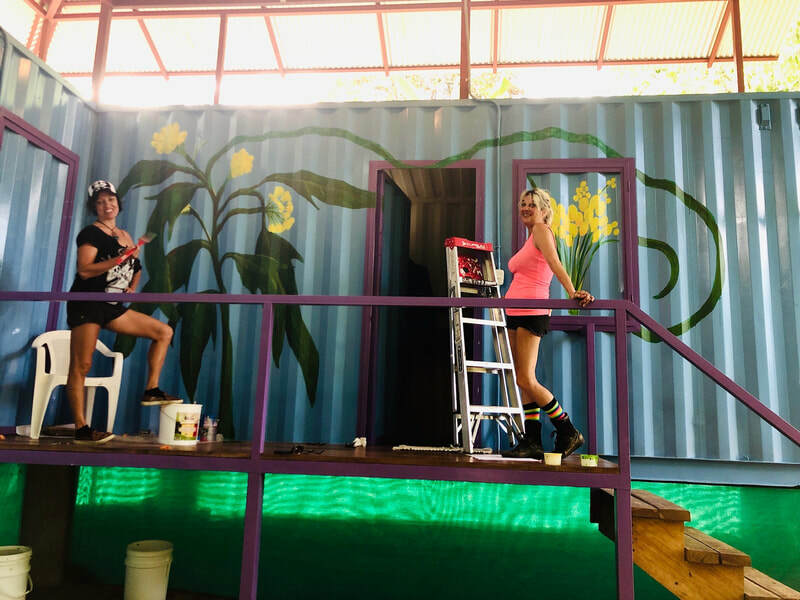 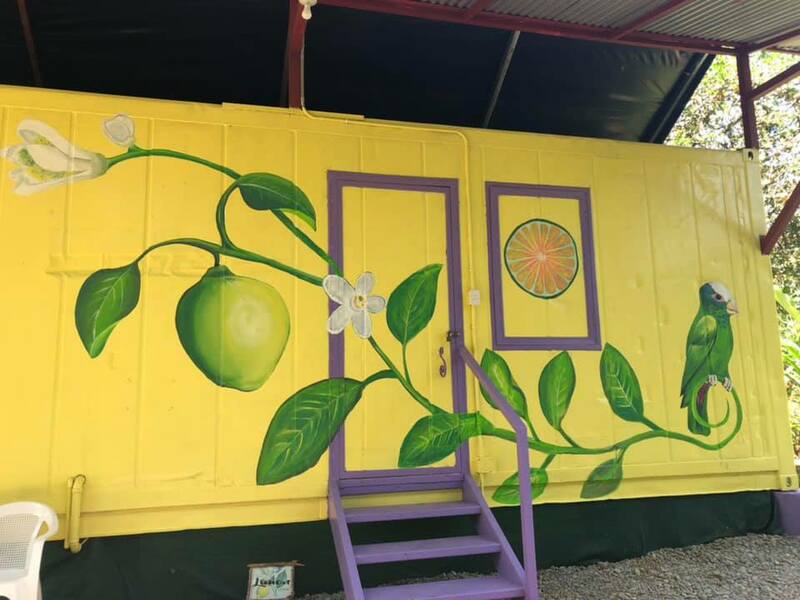 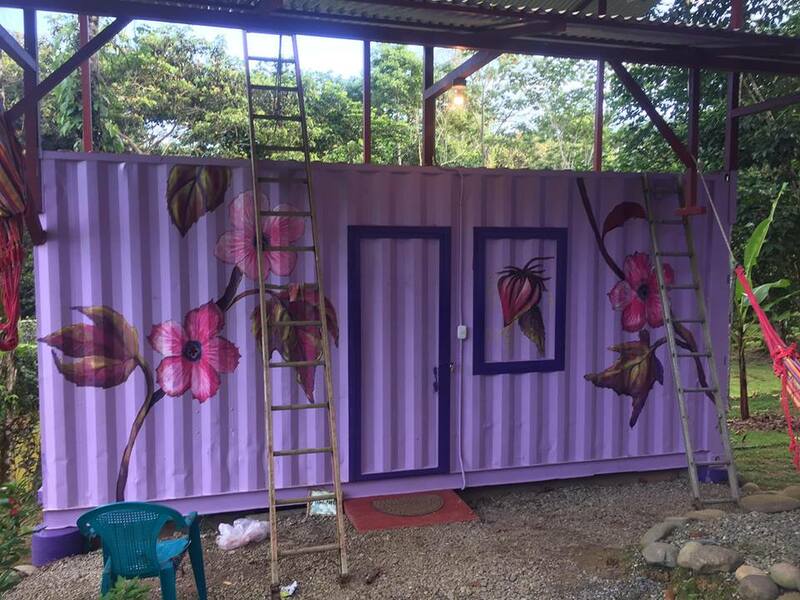 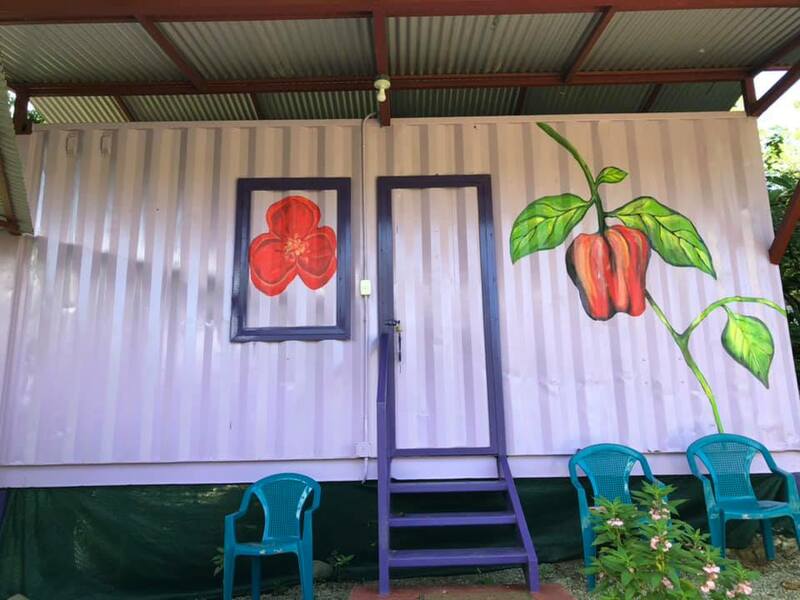 The process....Mike our host wanted his 12 container cabinas painted with imagery of the indigenous and medicinal plants that grow on his finch(farm)yoga retreat. 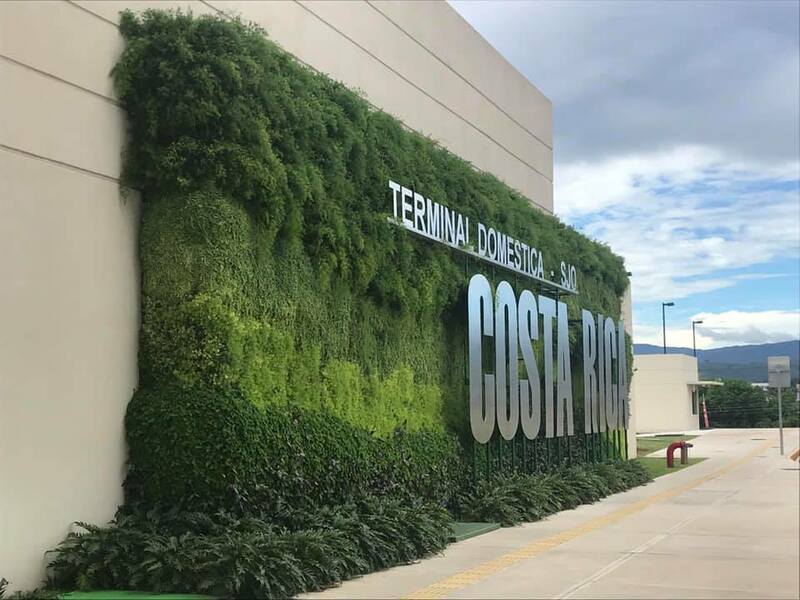 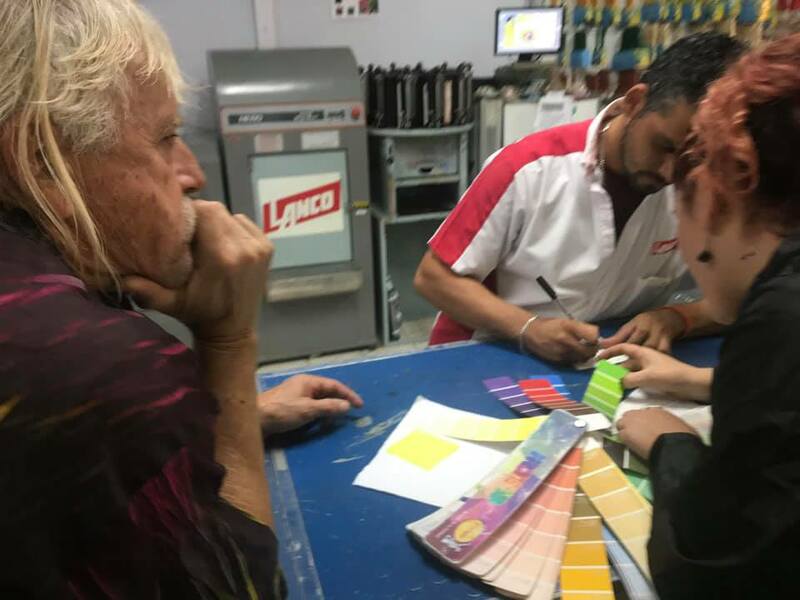 It was a true collaboration of 12 artists that had not all met before to please the client and we succeeded!! 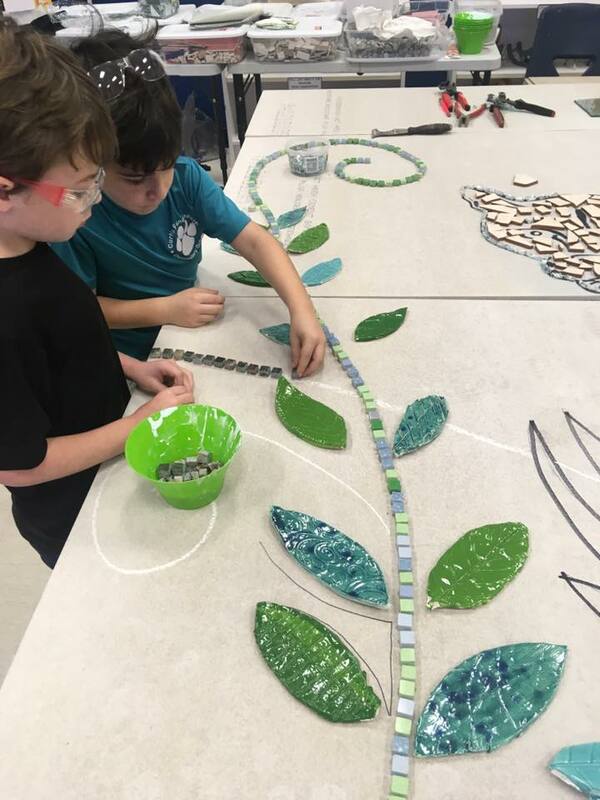 There was a lot of prep work, finding supplies, problem solving and priming to be done to create these masterpieces desired. 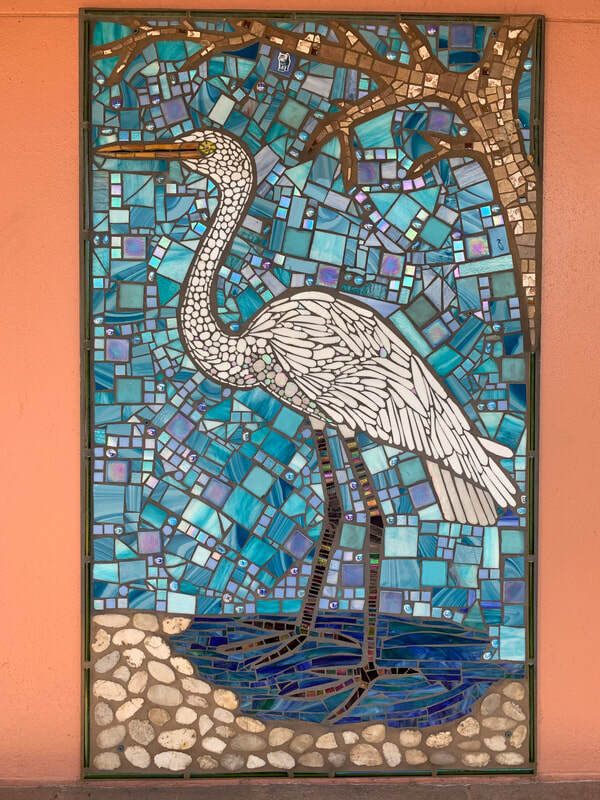 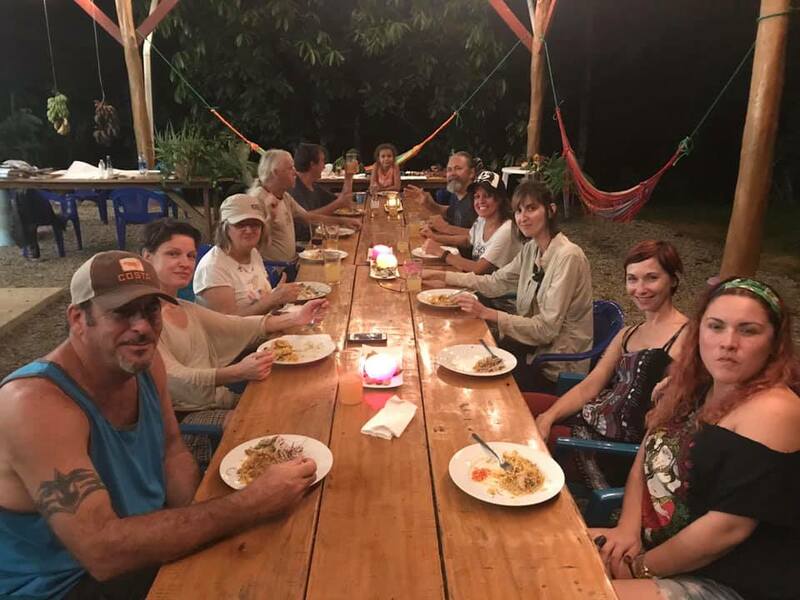 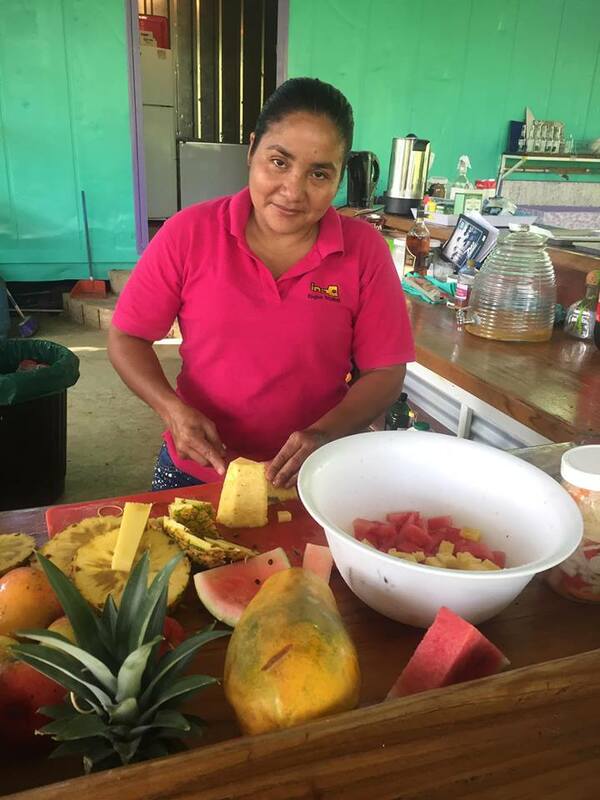 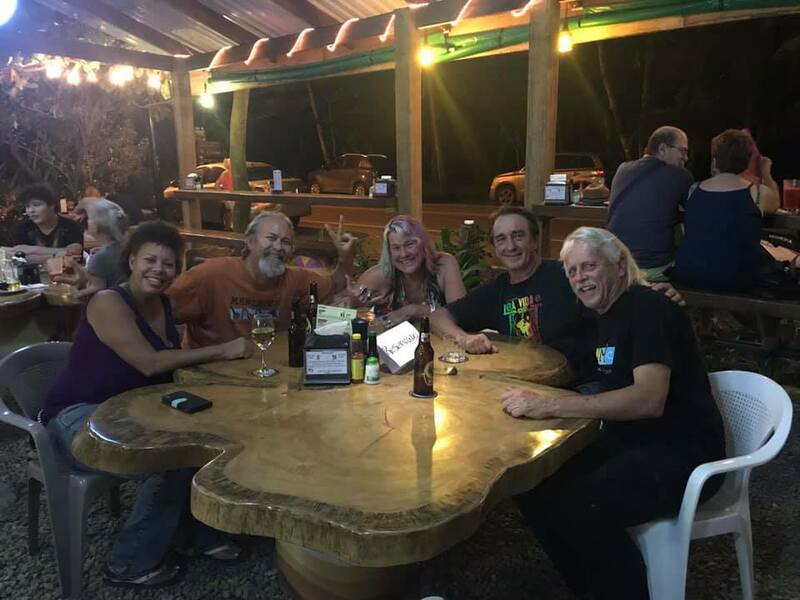 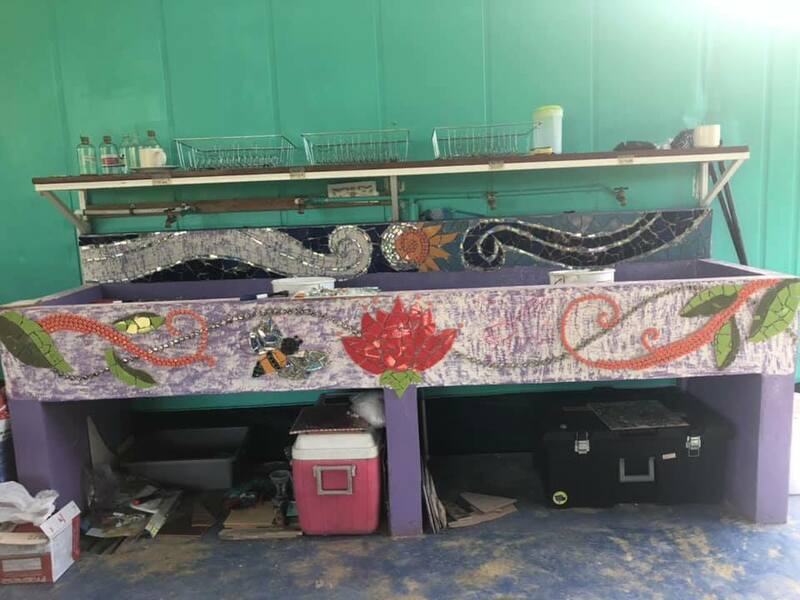 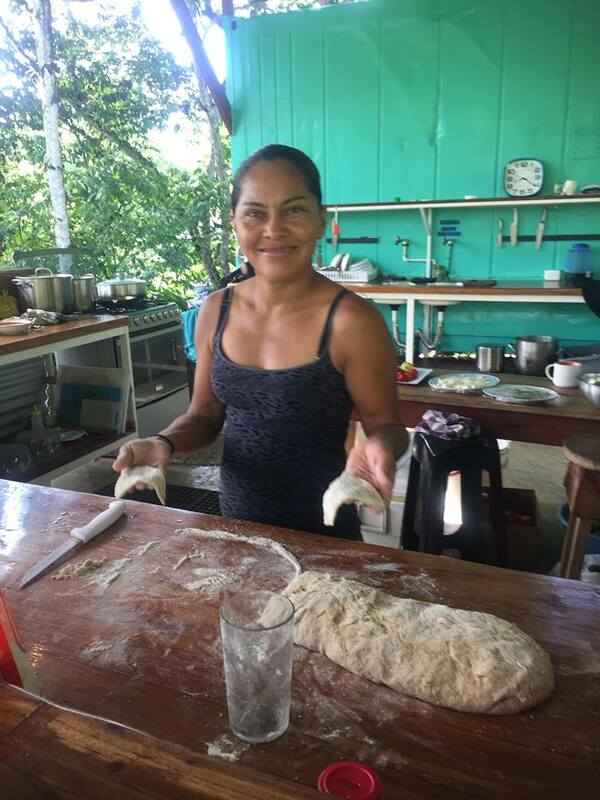 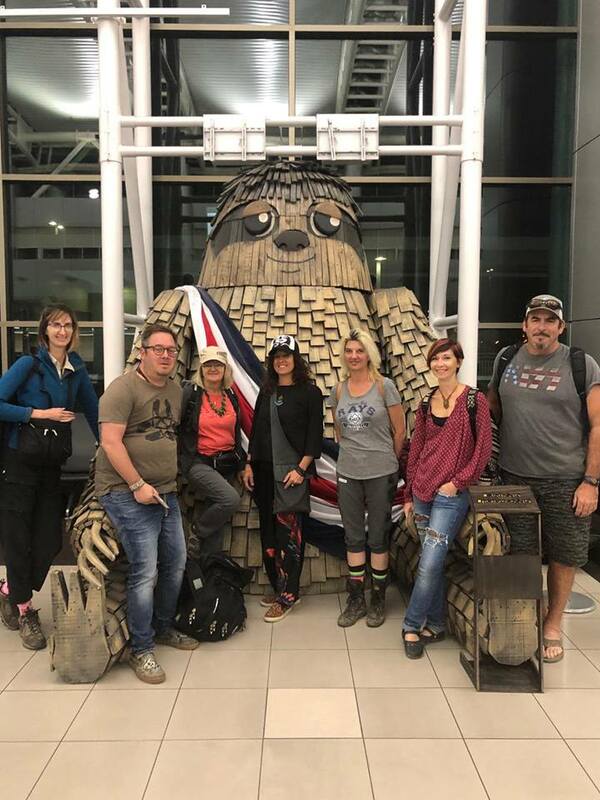 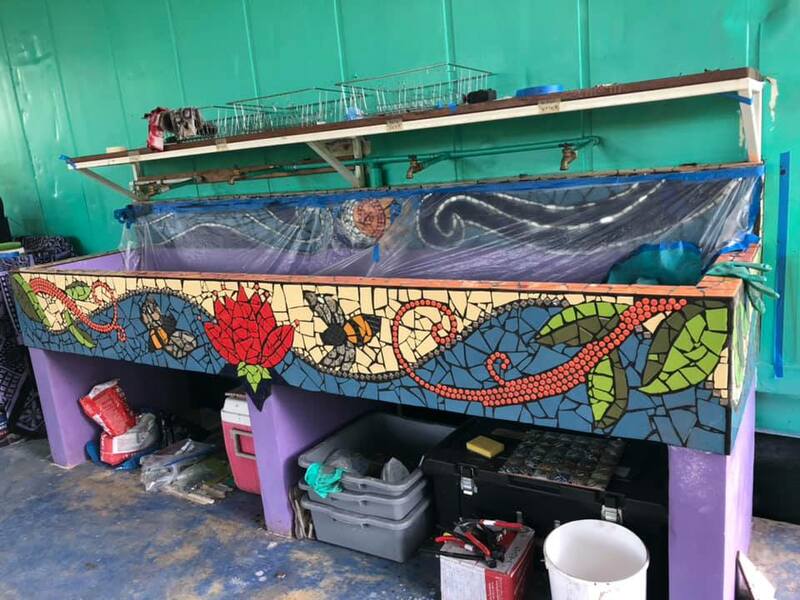 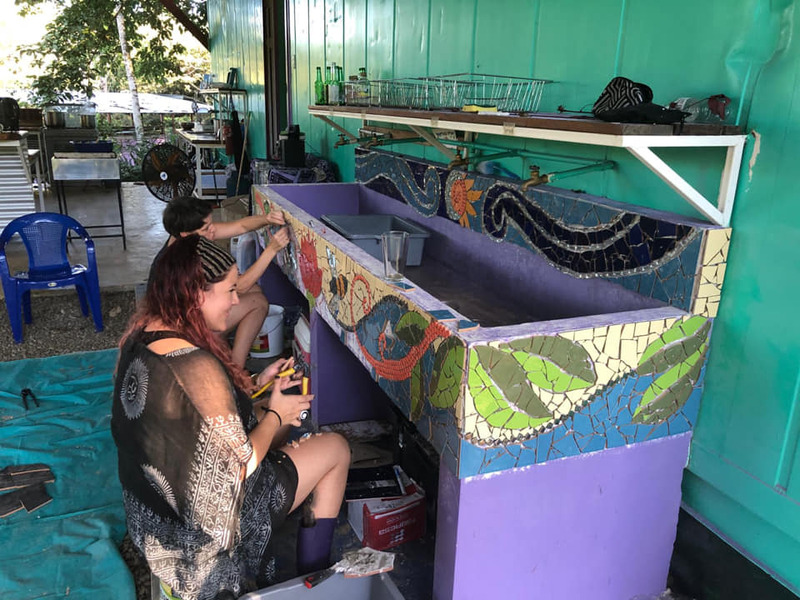 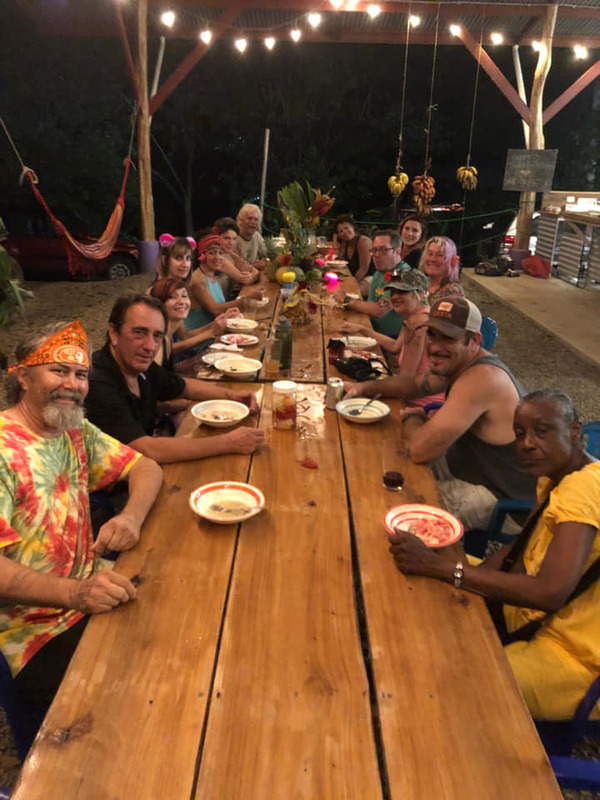 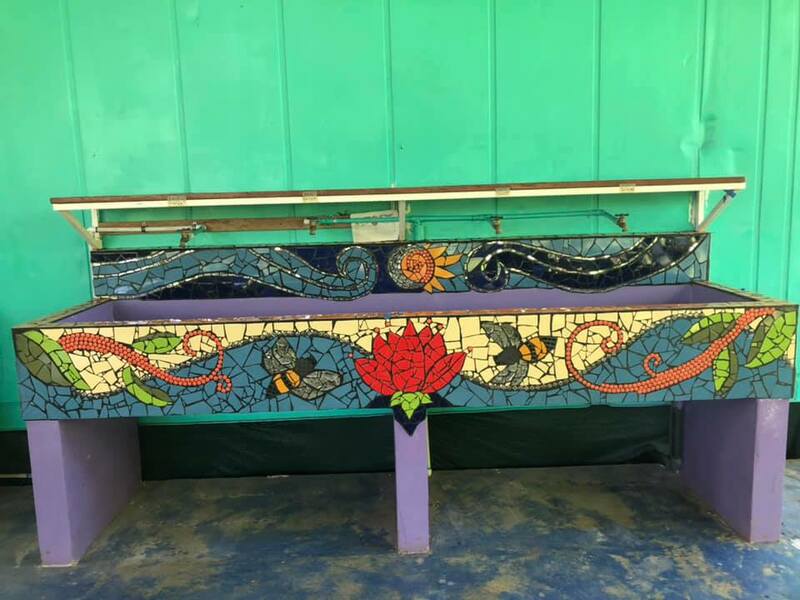 Twelve murals and a completed mosaic on the kitchen sink were what we accomplished in 7 days. 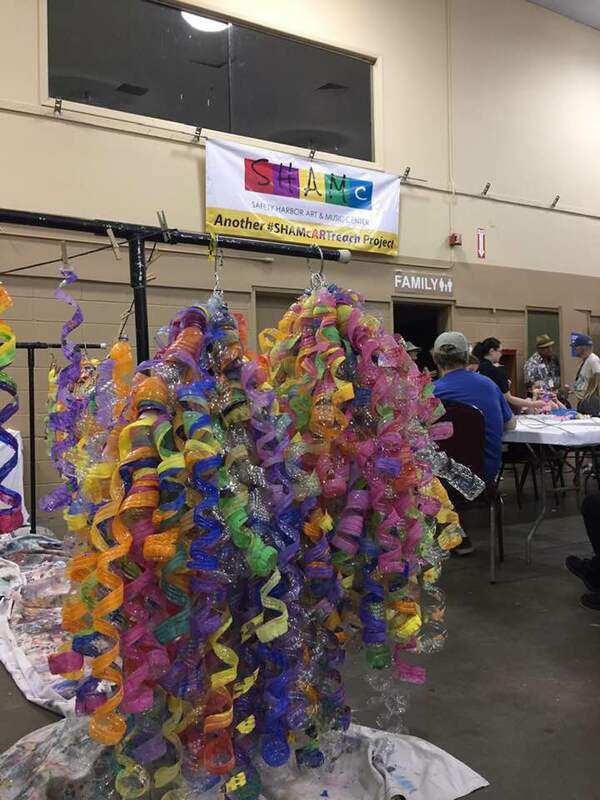 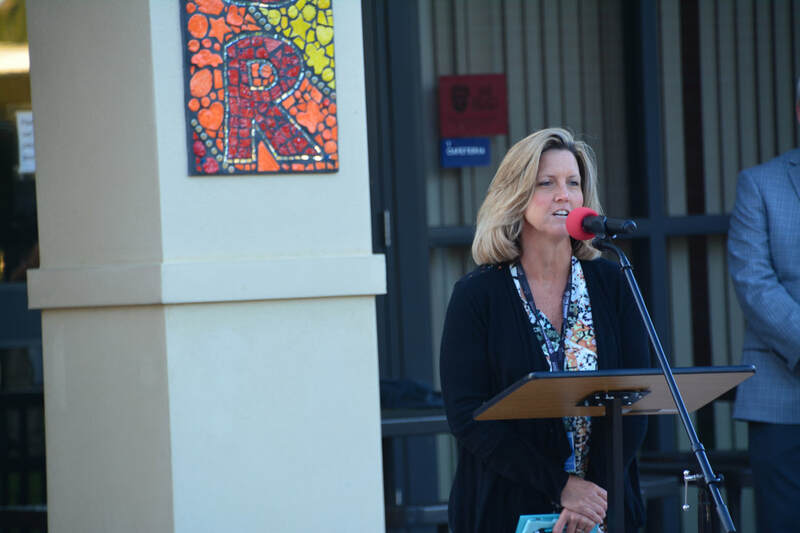 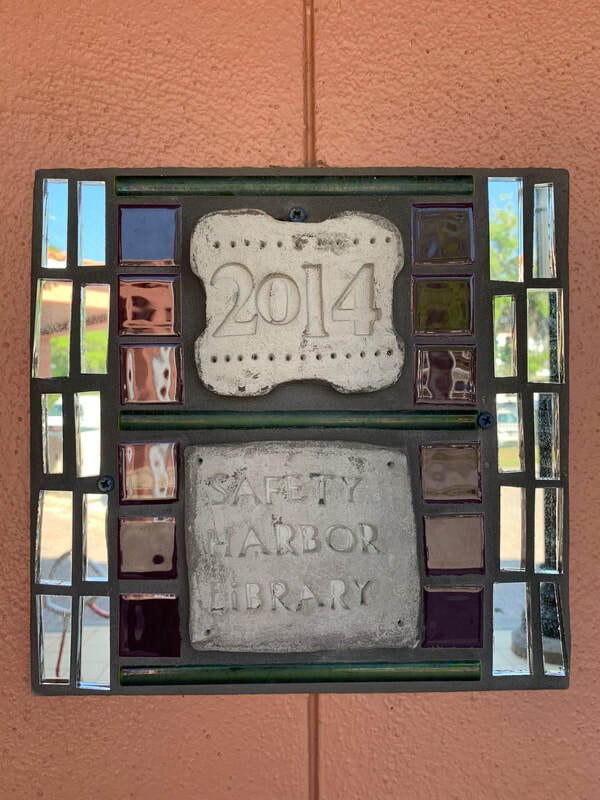 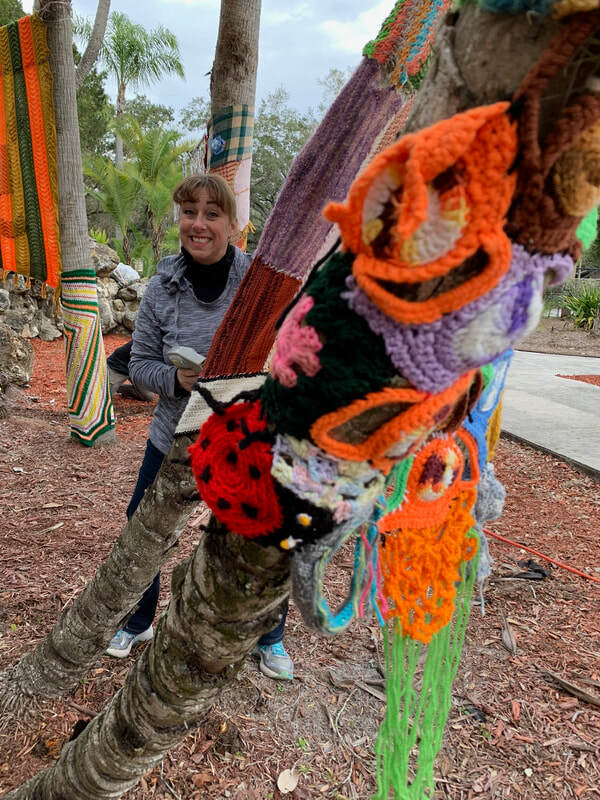 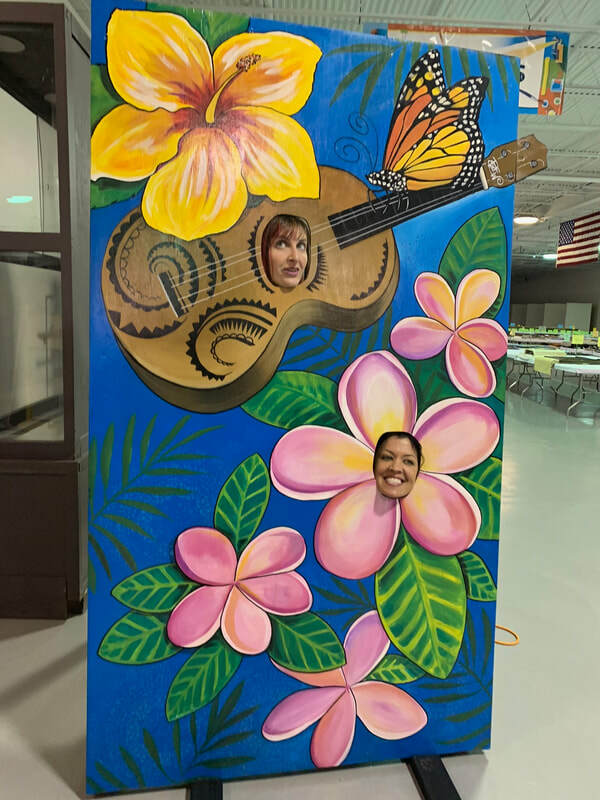 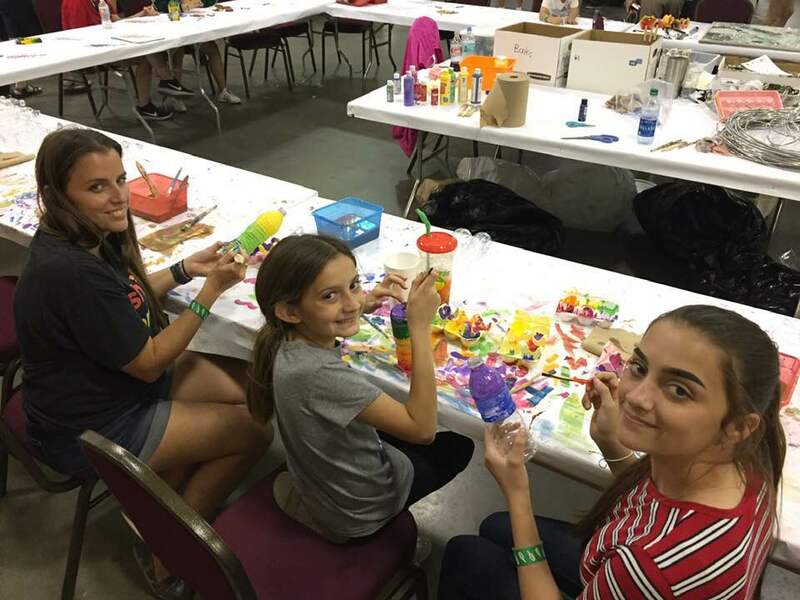 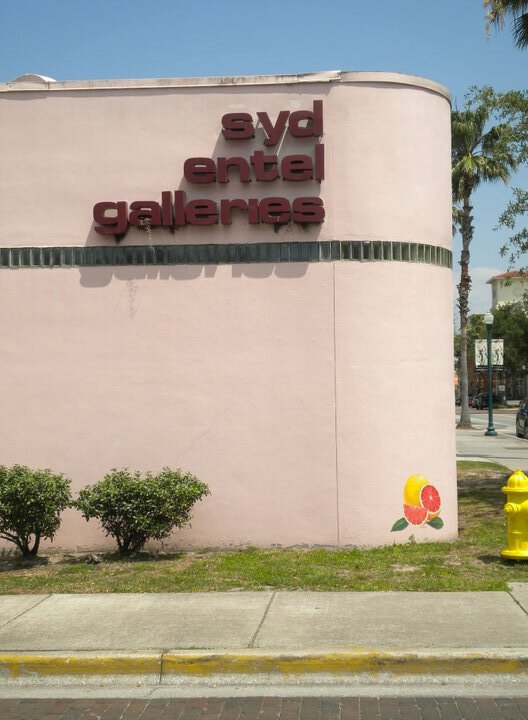 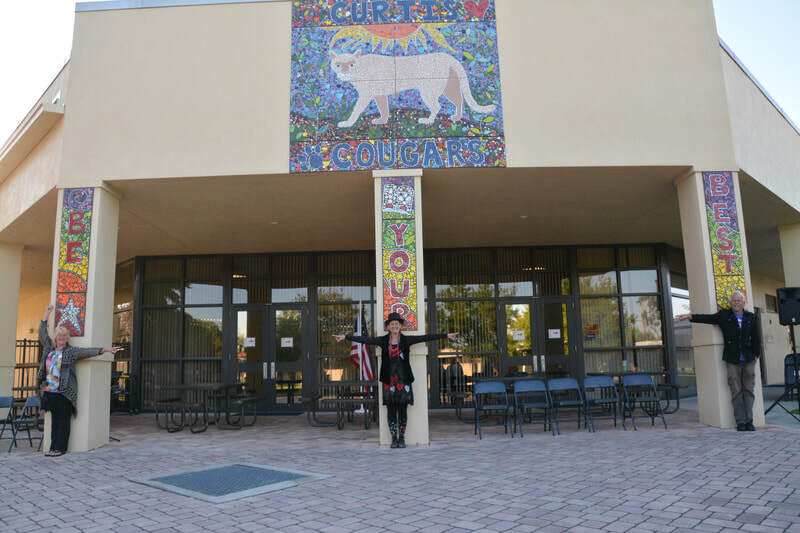 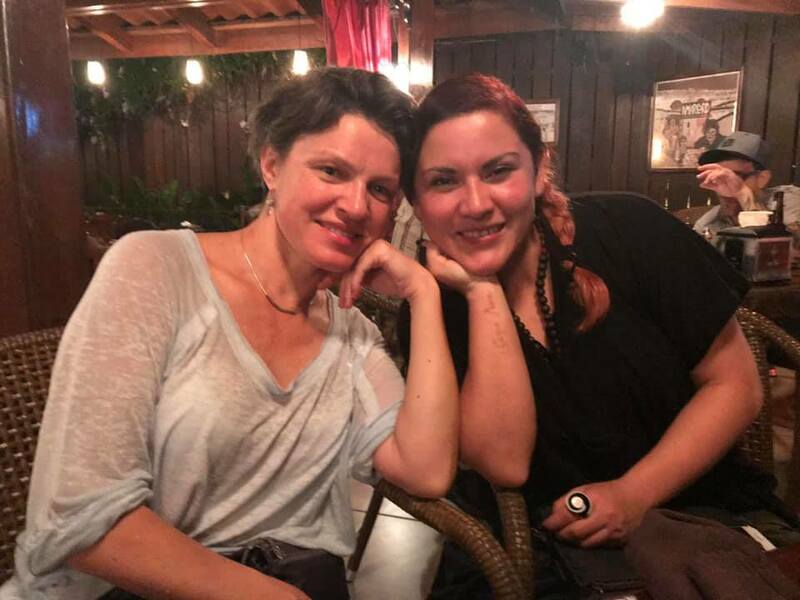 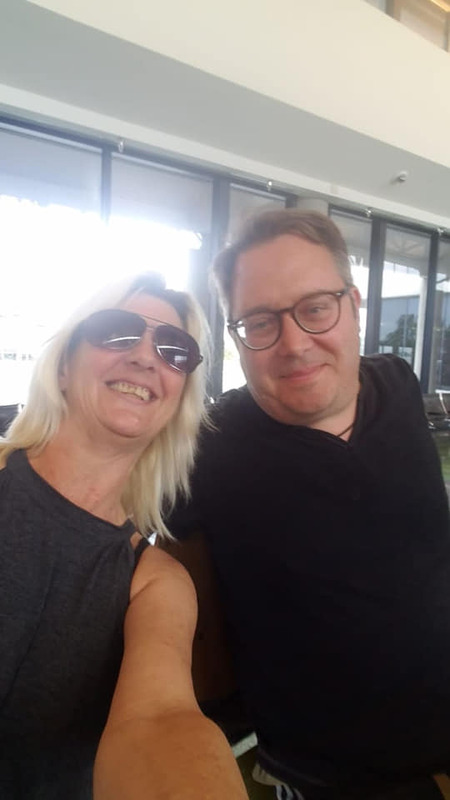 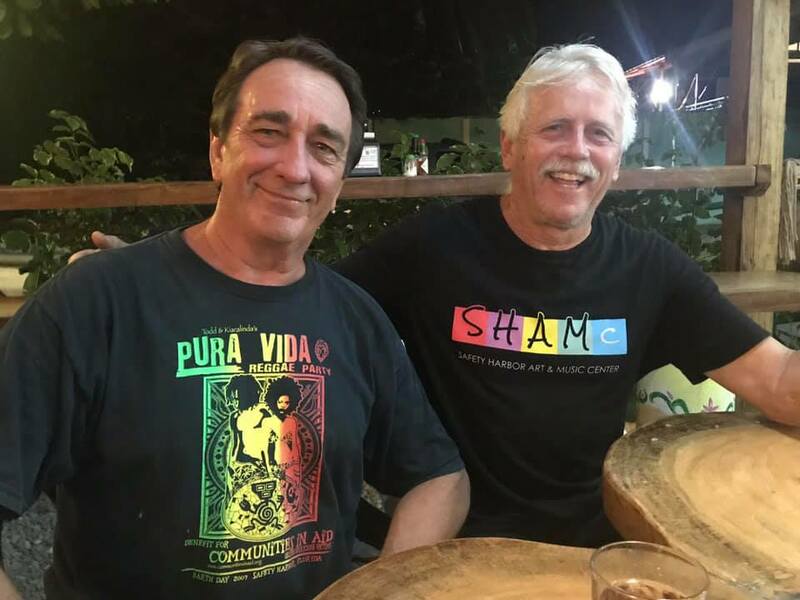 SHAMc board member Heather Richardson recruited many artists to submit proposals to the Safety Harbor Art Committee because there was a nice budget being spent this year. 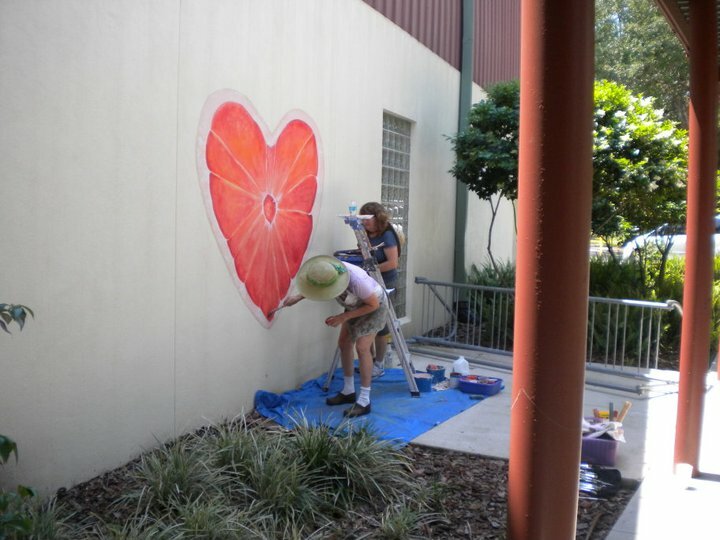 Many of the artists she recruited were chosen to create murals. 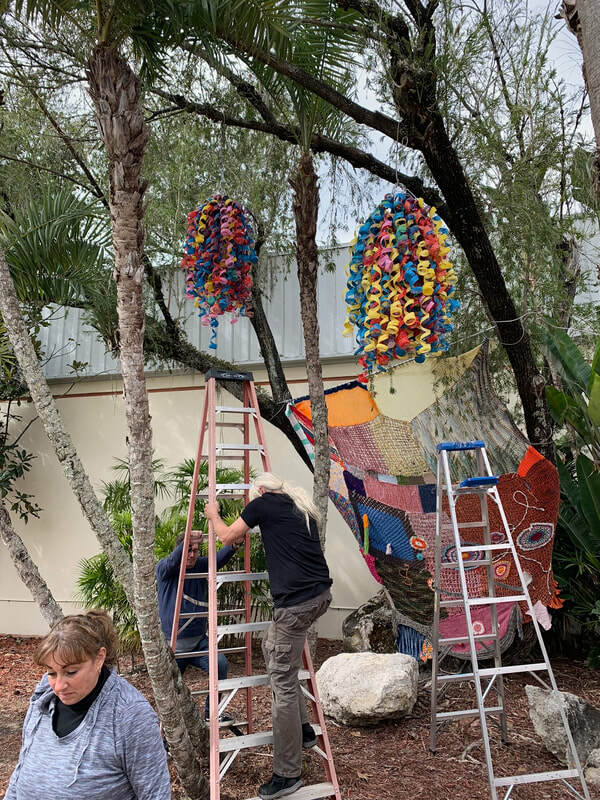 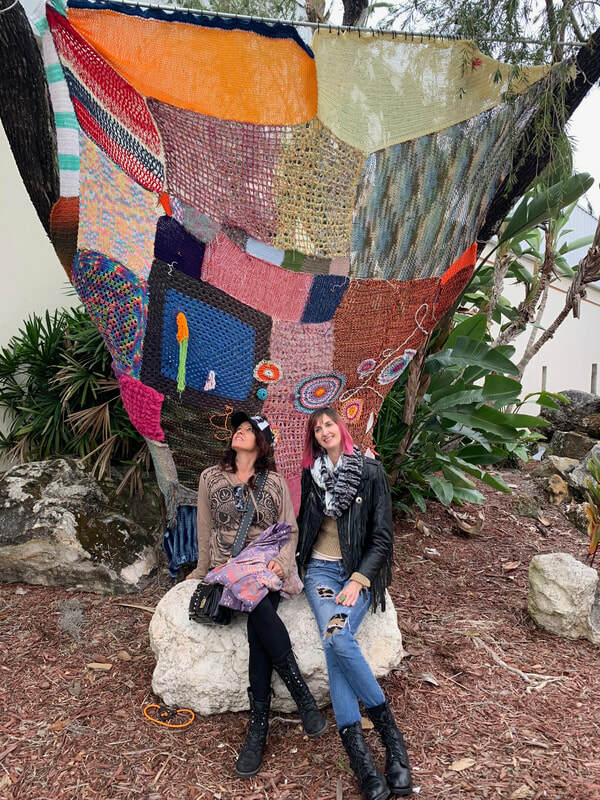 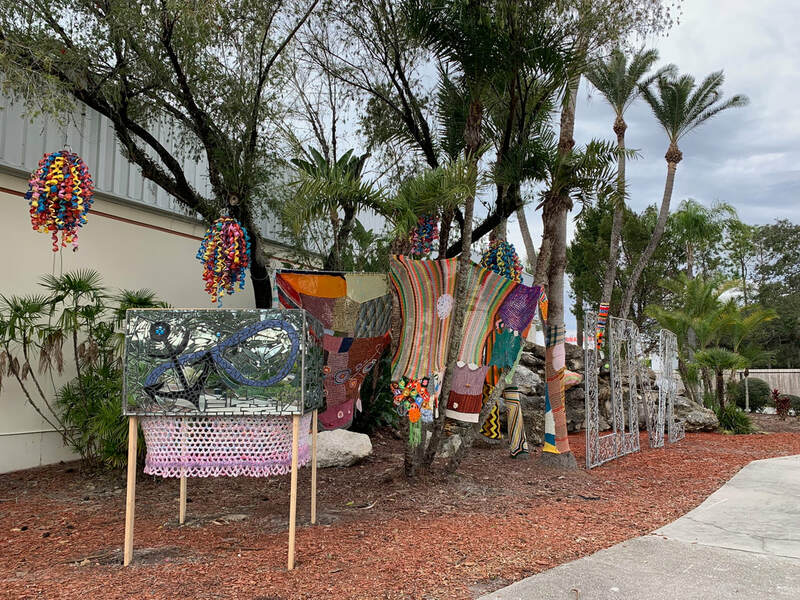 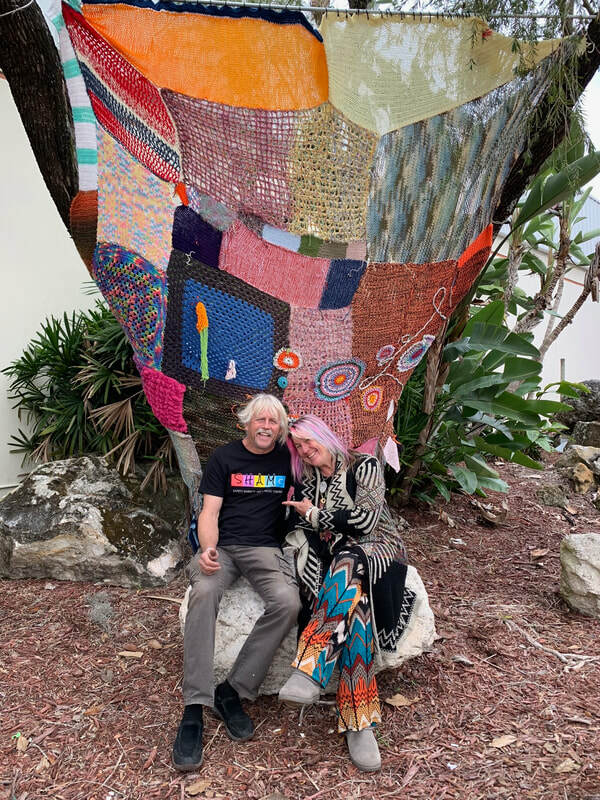 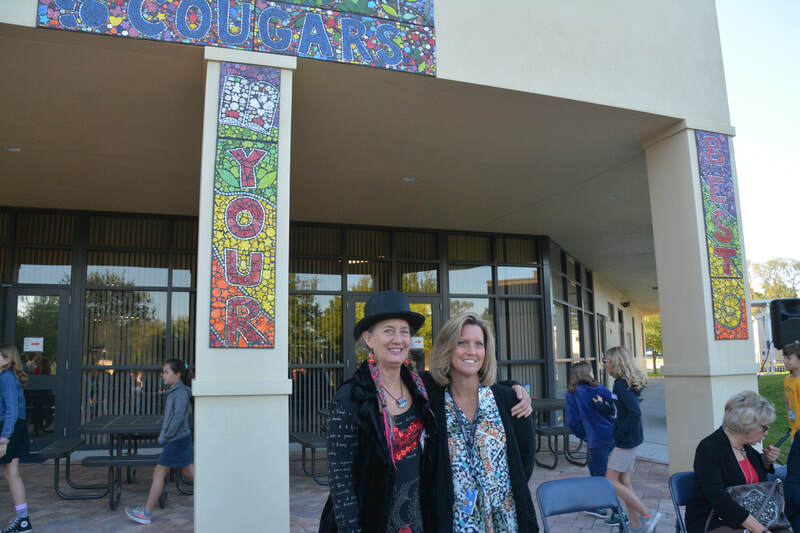 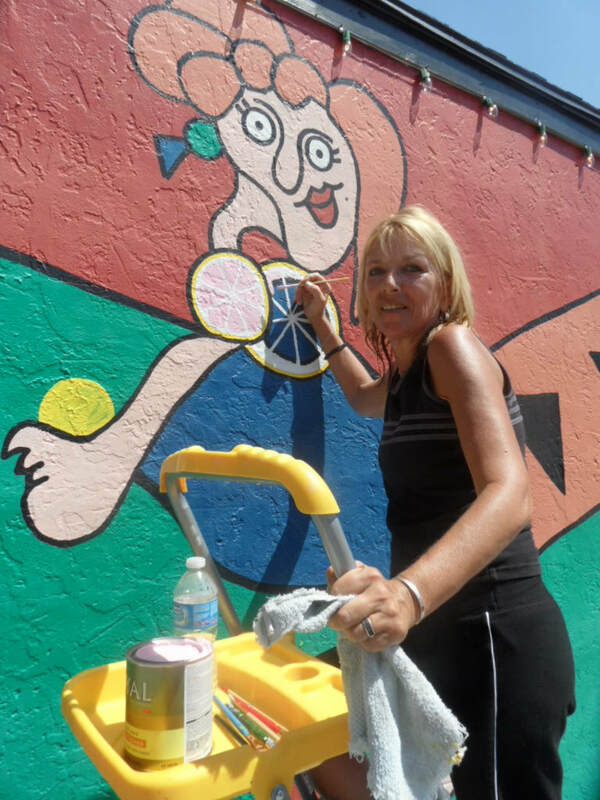 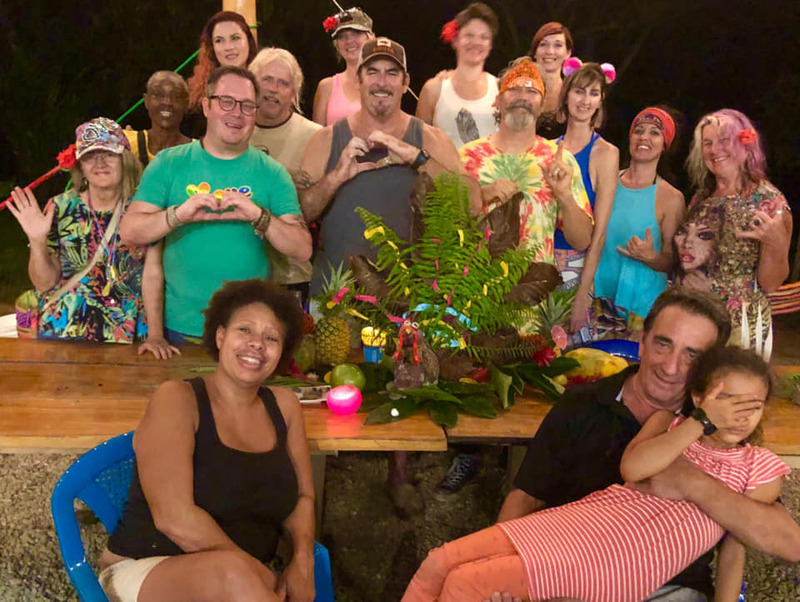 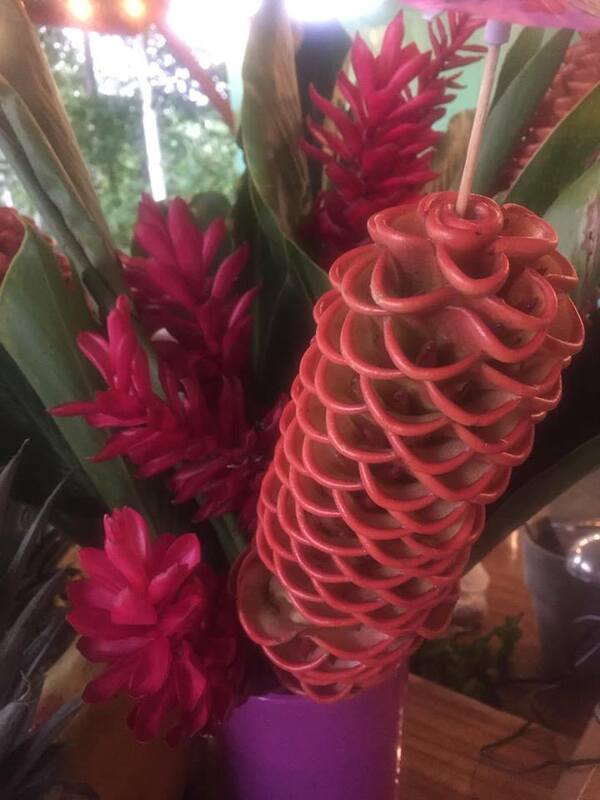 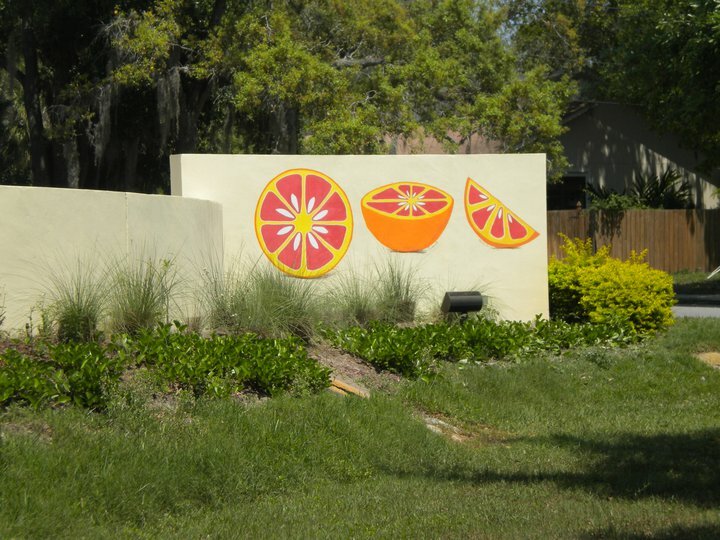 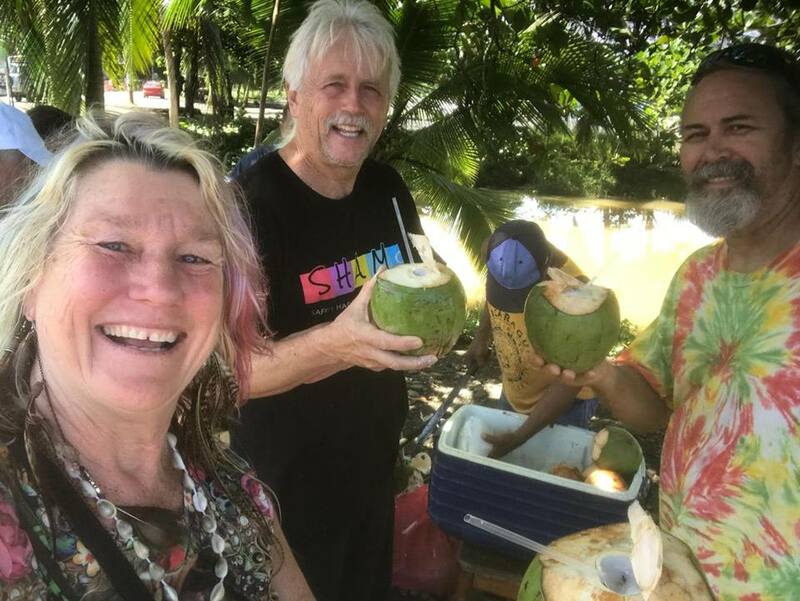 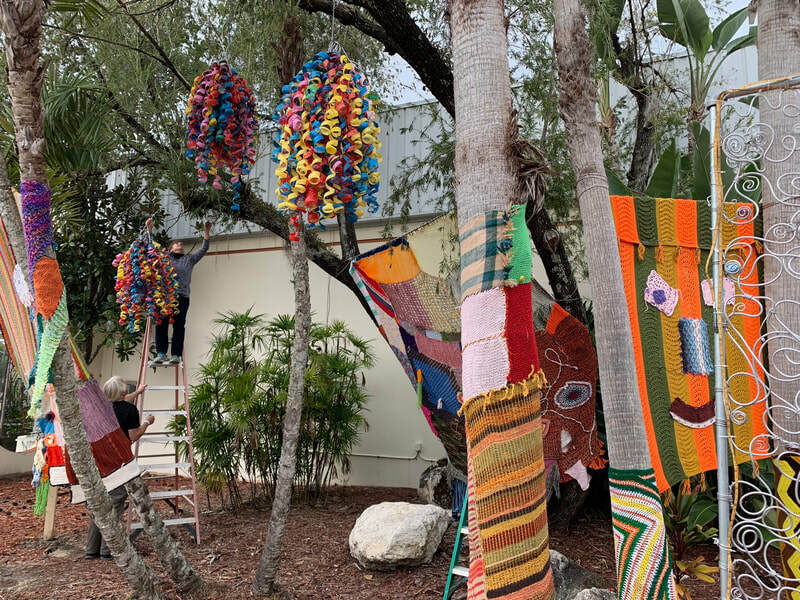 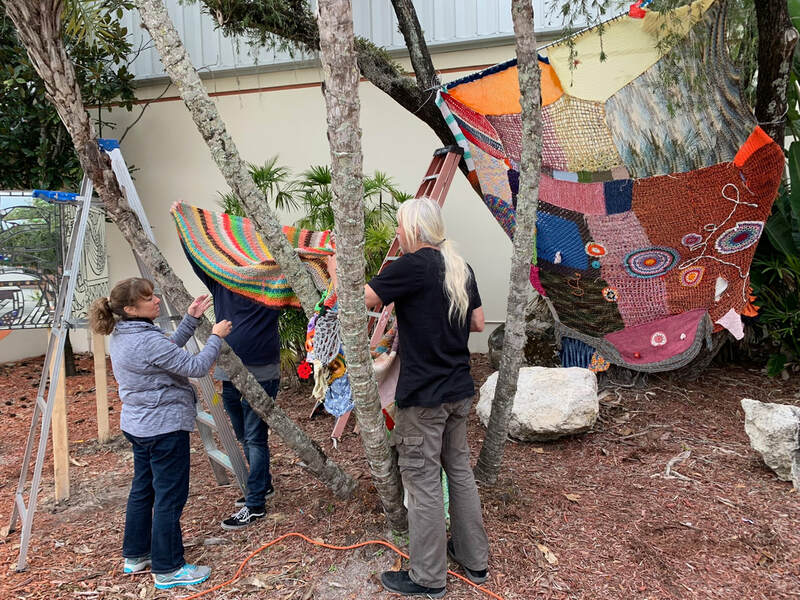 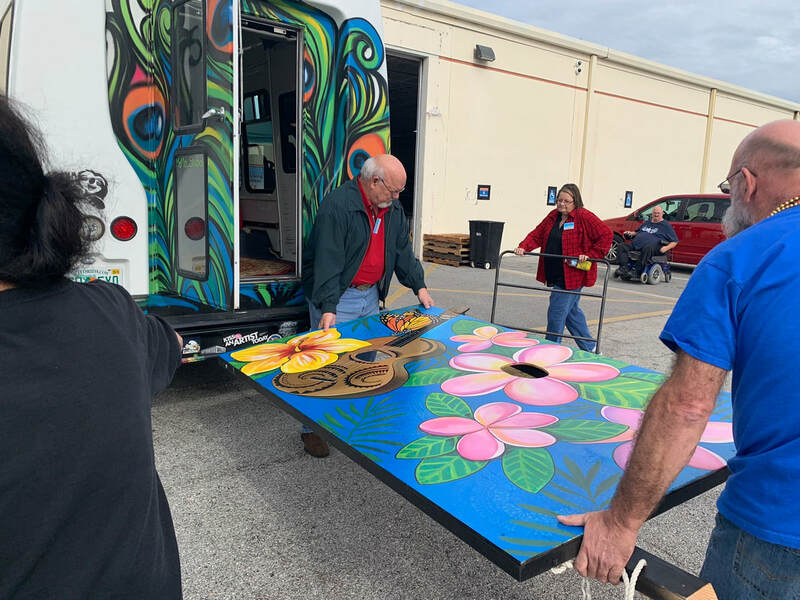 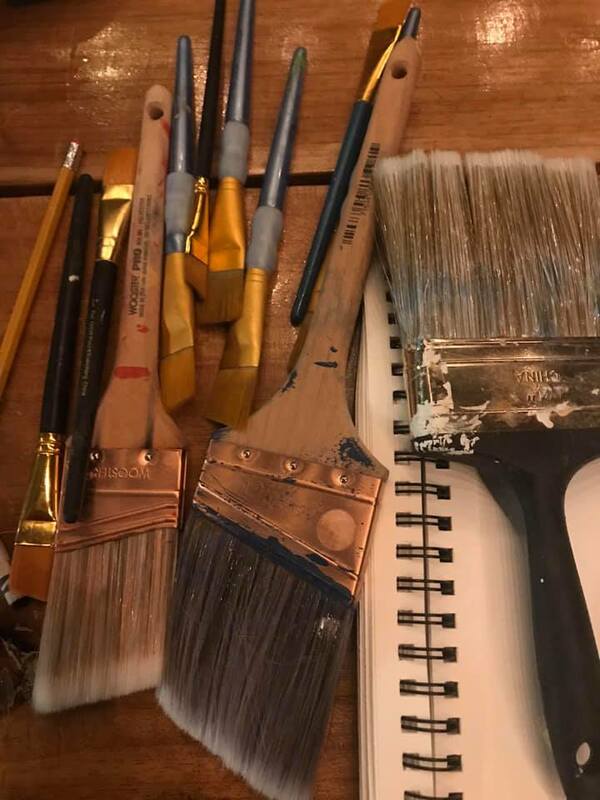 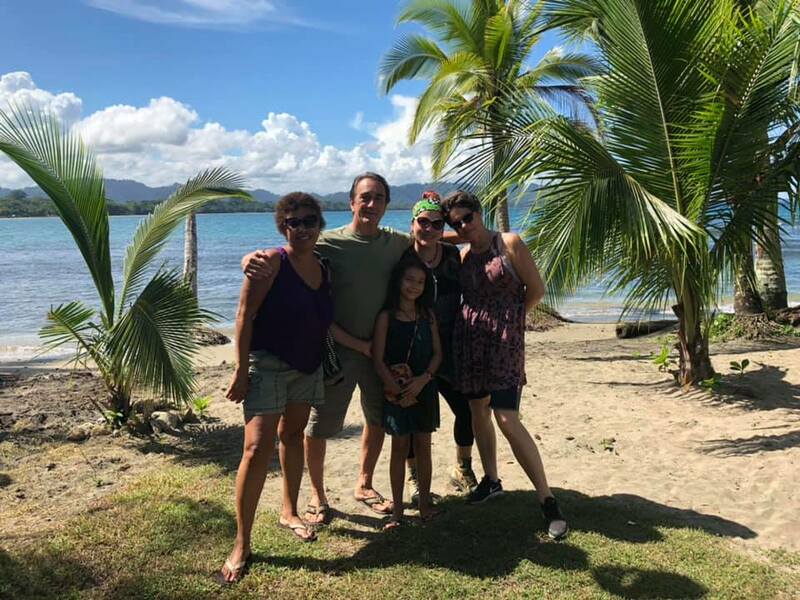 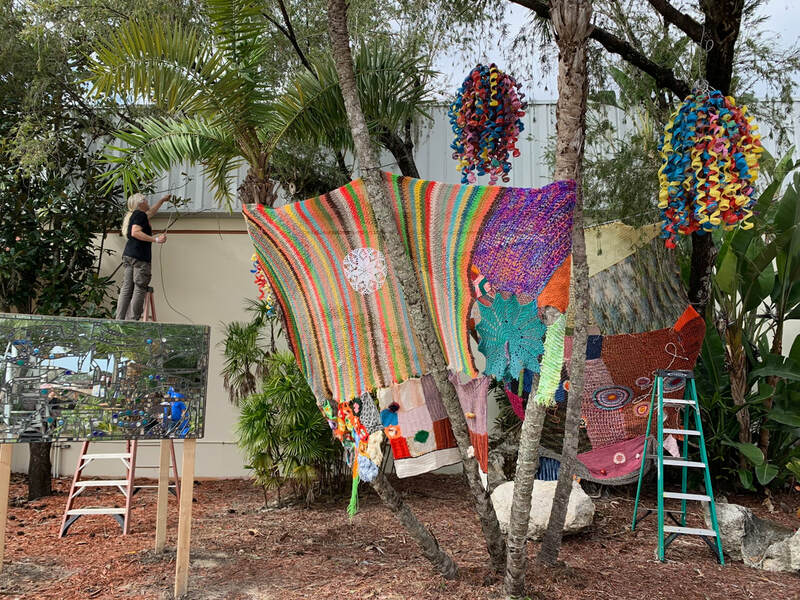 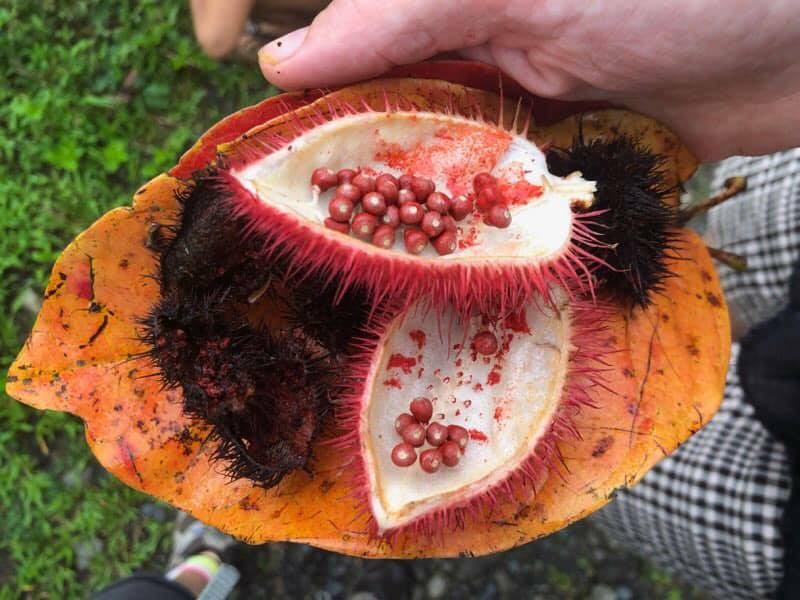 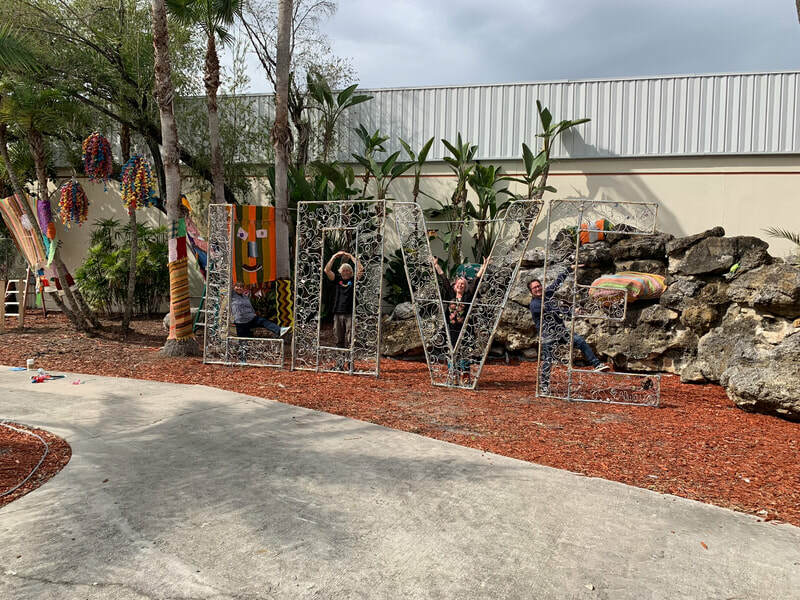 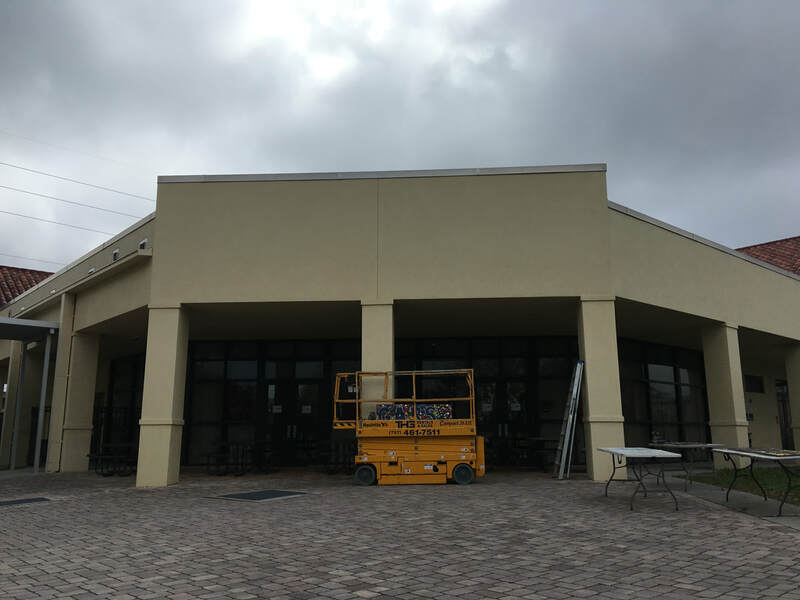 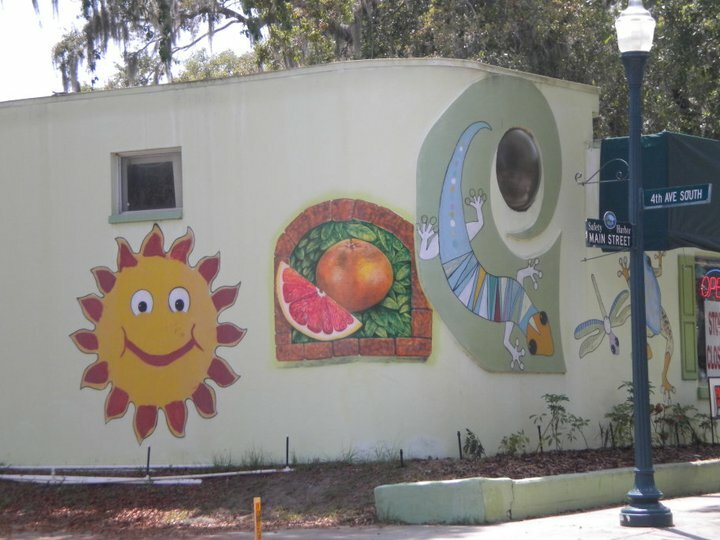 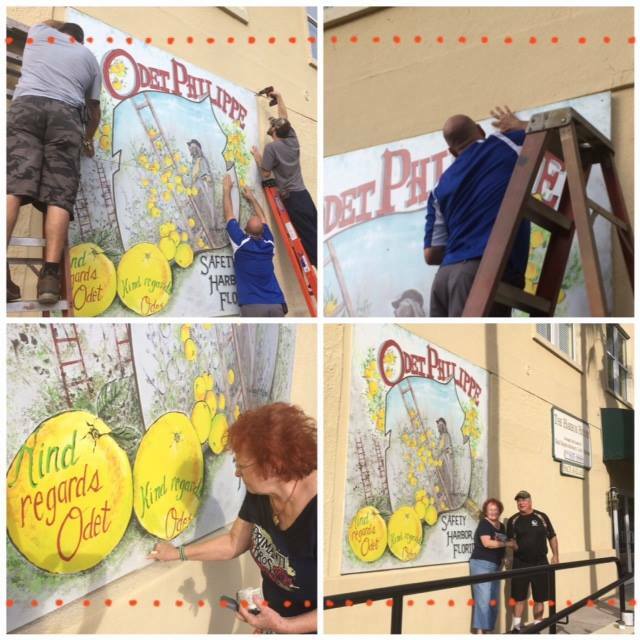 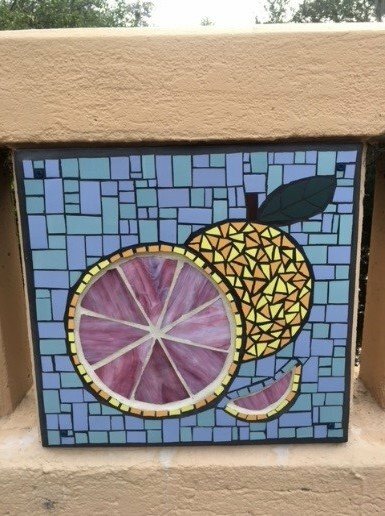 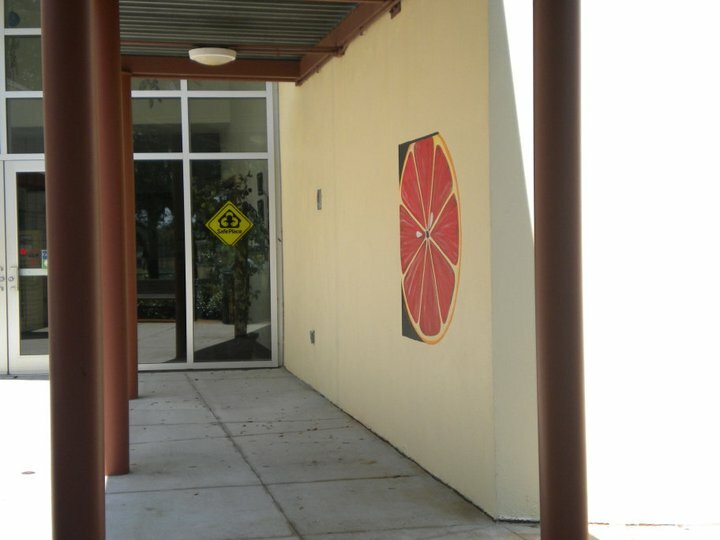 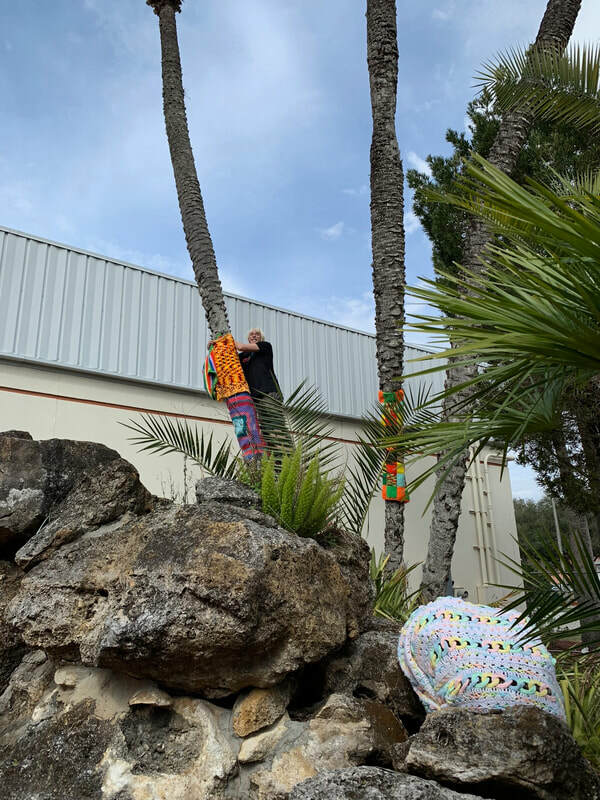 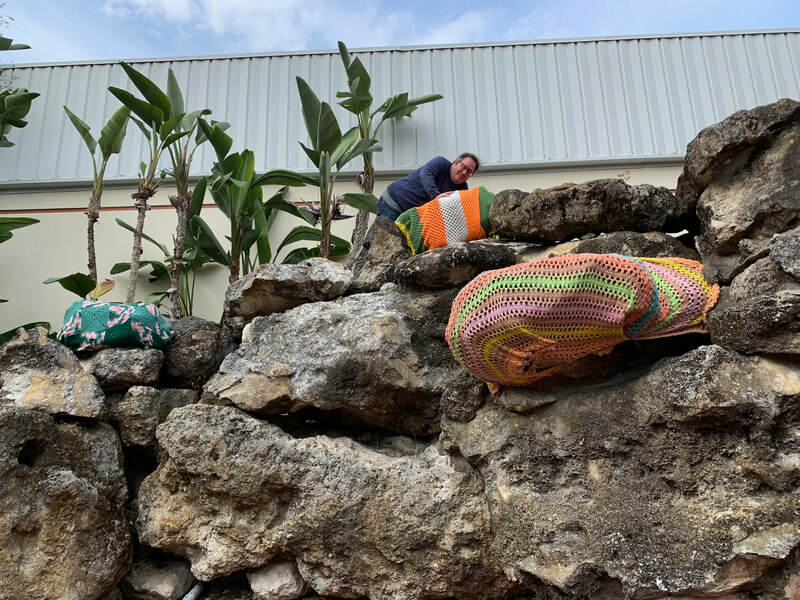 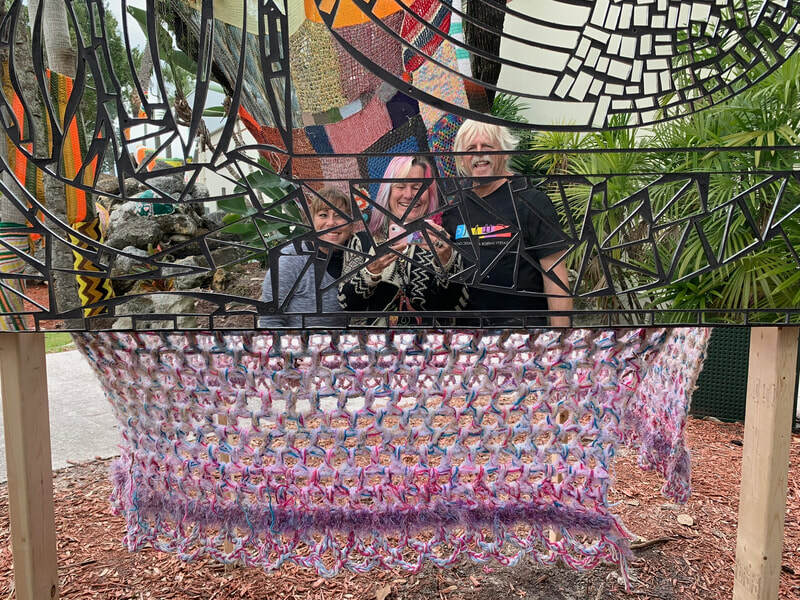 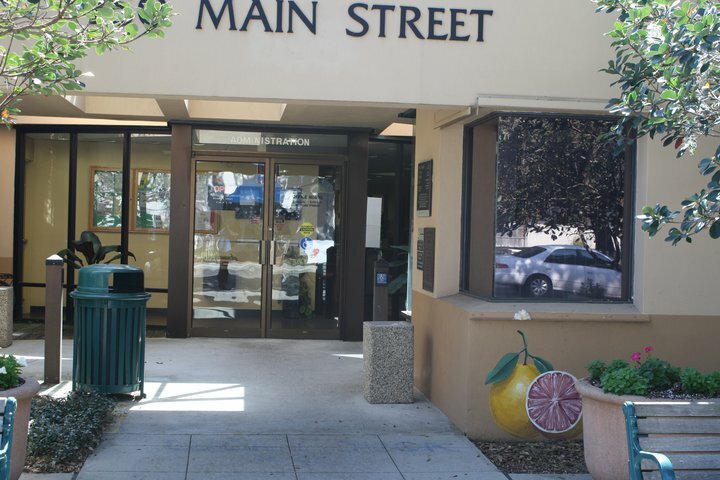 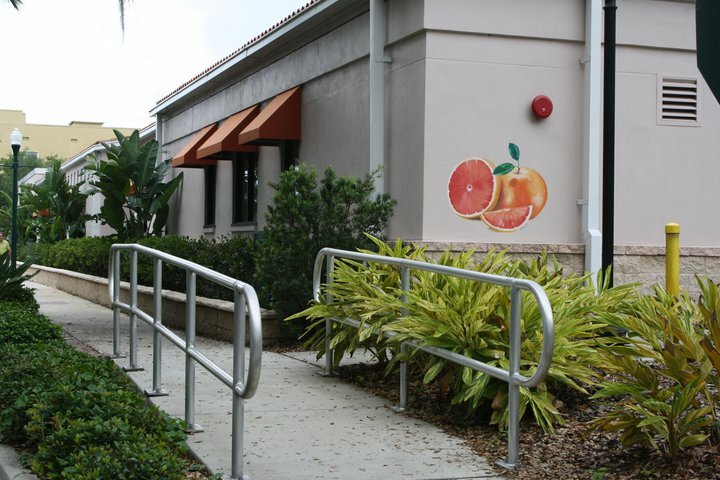 Todd and Kiaralinda rallied a group of artist friends to mosaic a few and paint a lot of buildings with the Safety Harbor 'fruit' the grapefruit. 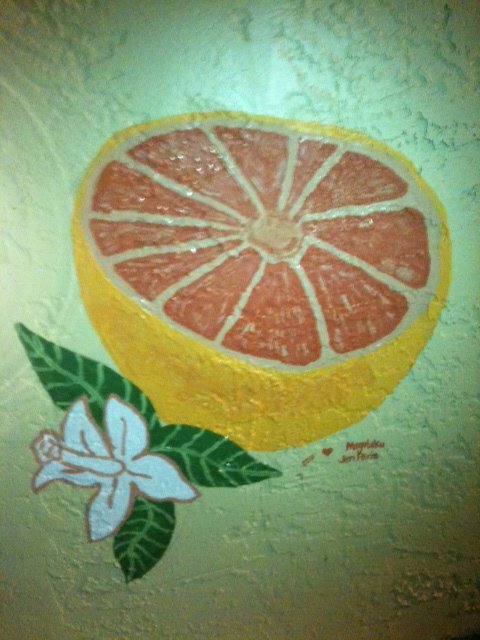 It was in honor of the soon to be Grapefruit festival that was going to be happening in a few weeks. 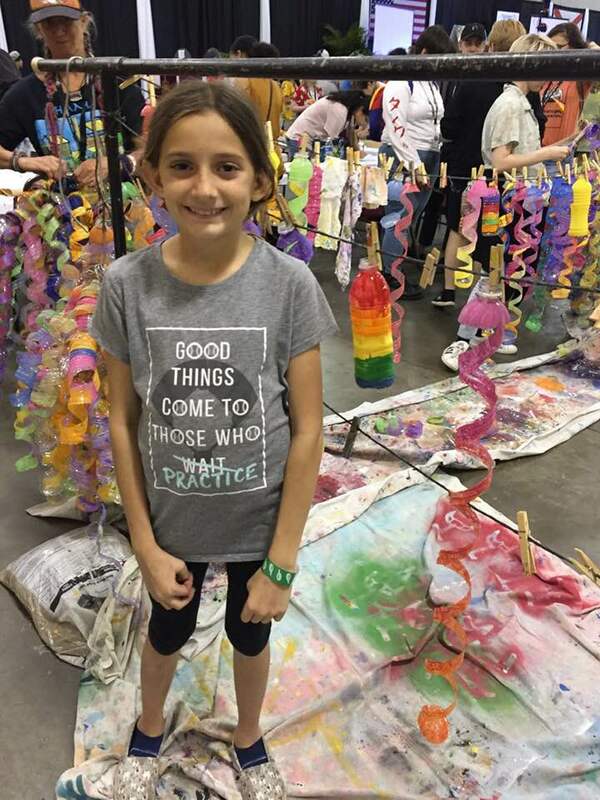 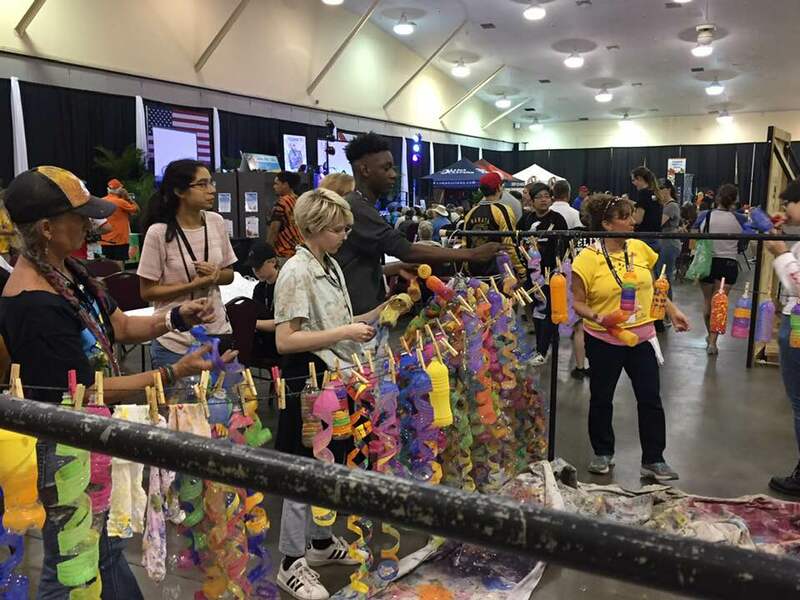 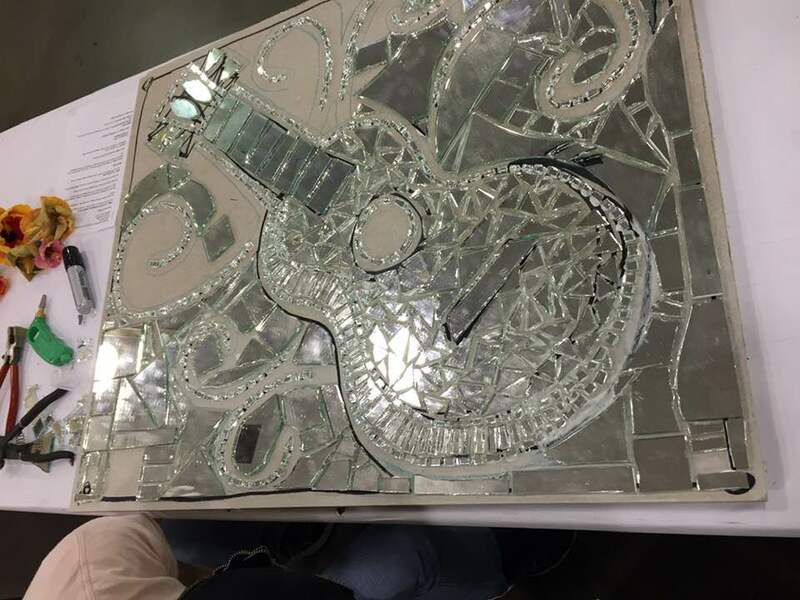 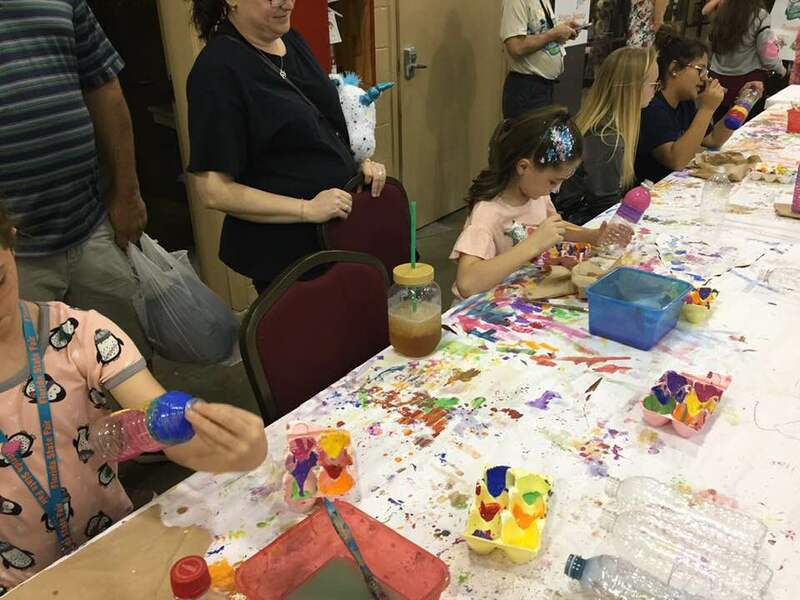 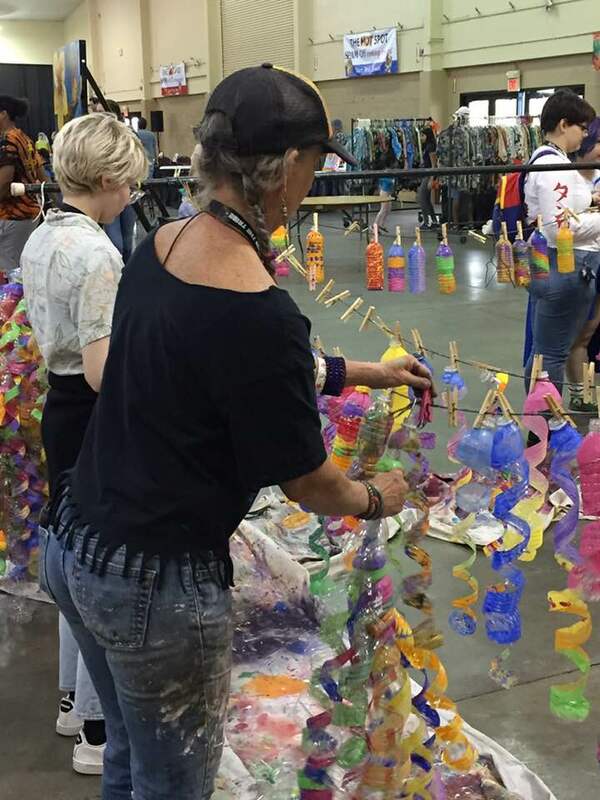 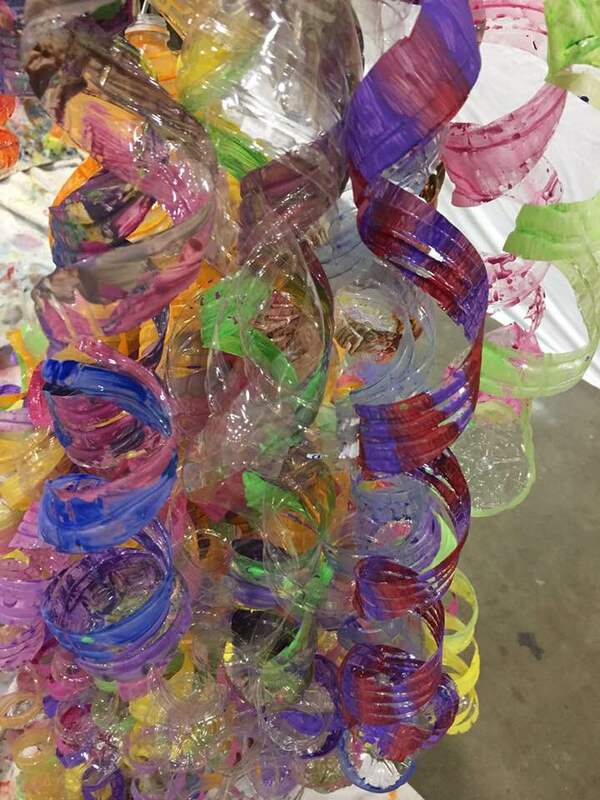 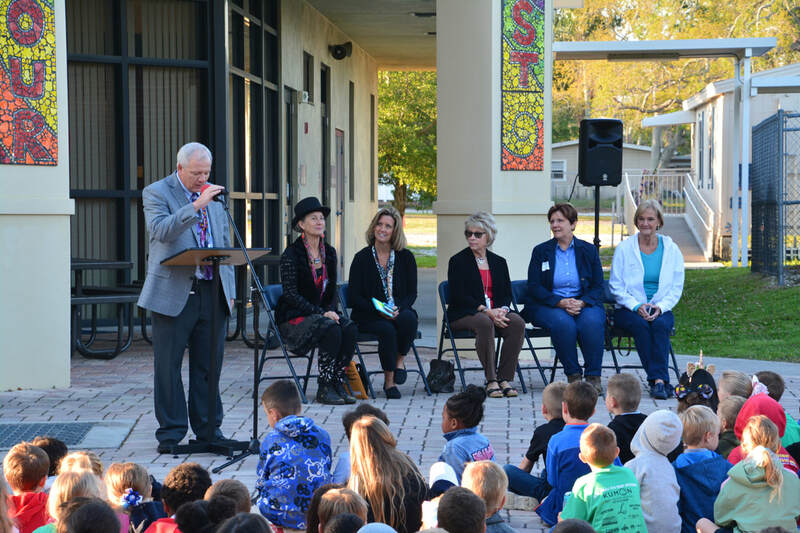 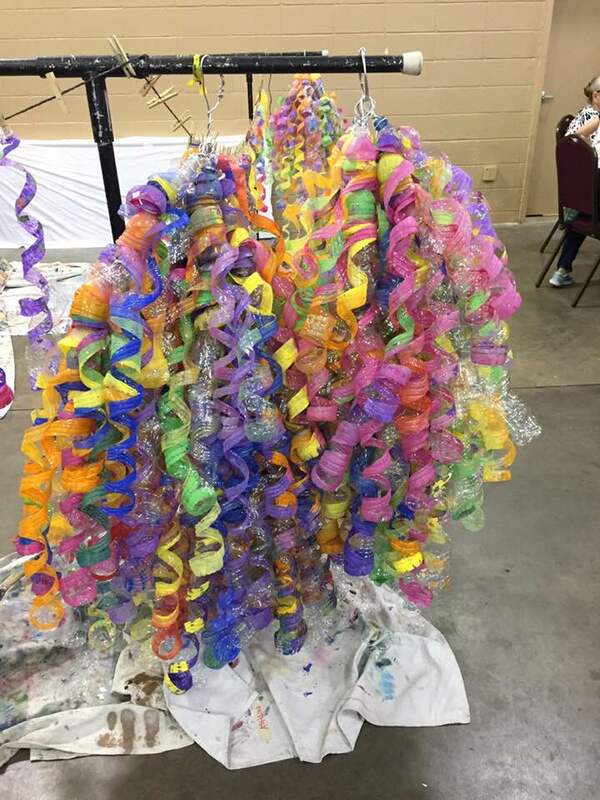 Our public #ARTreach was a gift to our city in honor of the festival. 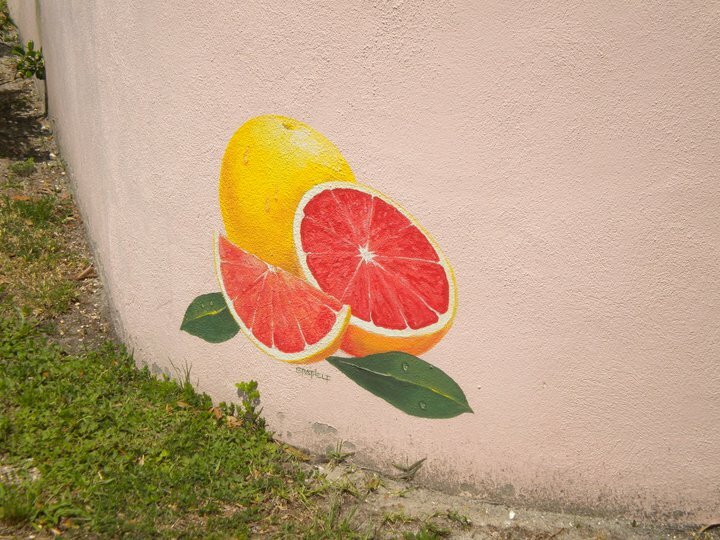 A few are still in existence today but sadly most have been painted over.